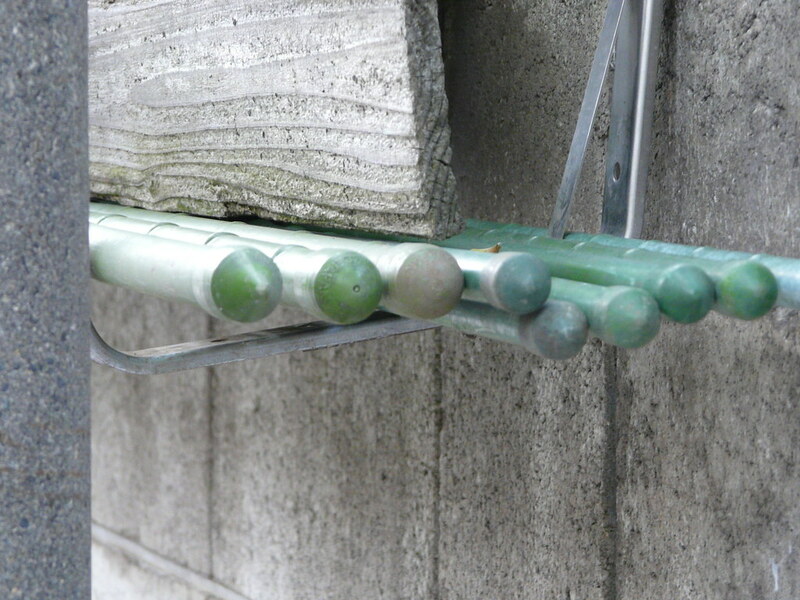 Clothes hangers stored outside on a piece of string hung from the rafters. 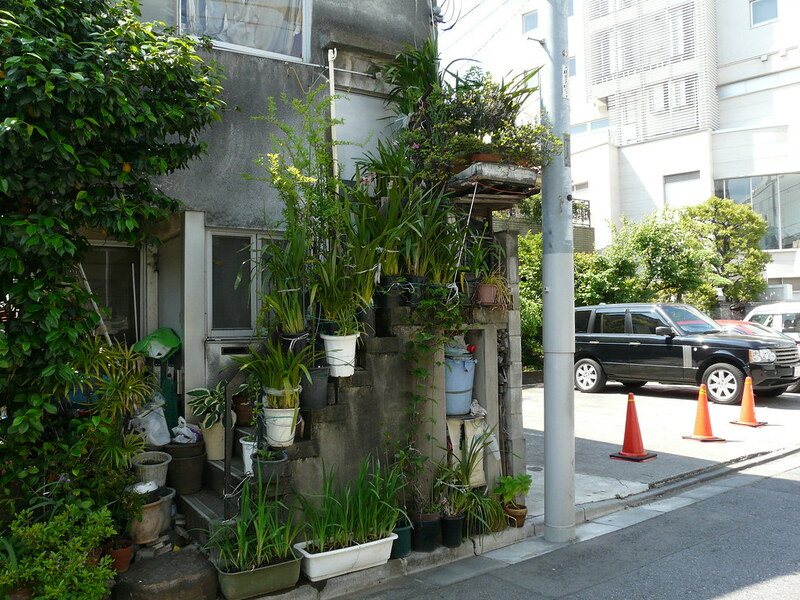 Compact, convenient. 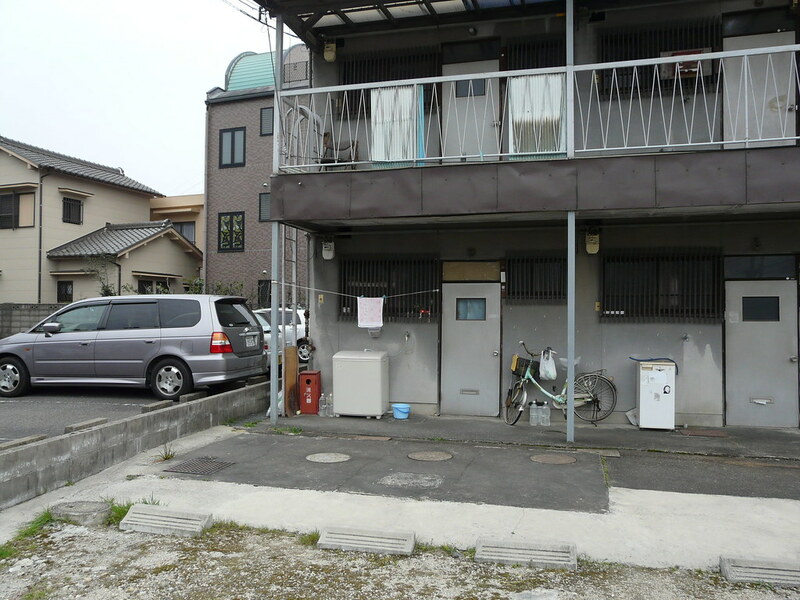 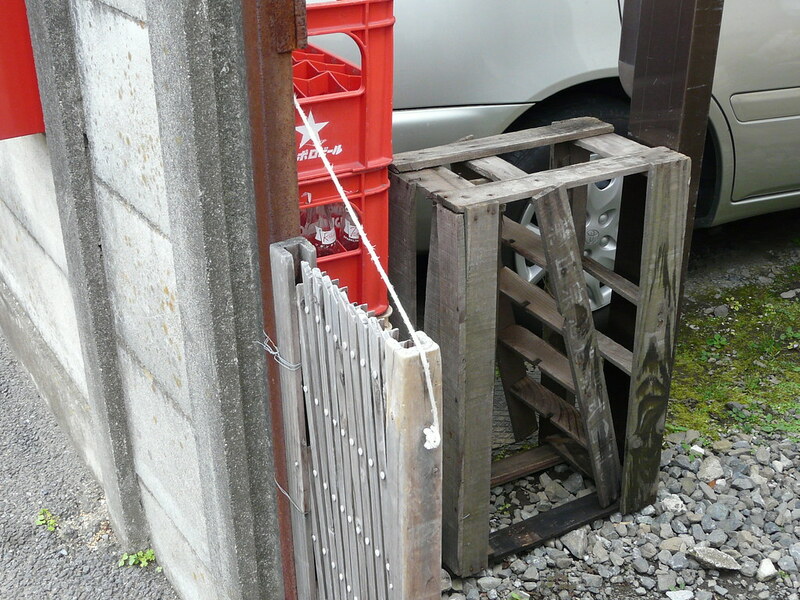 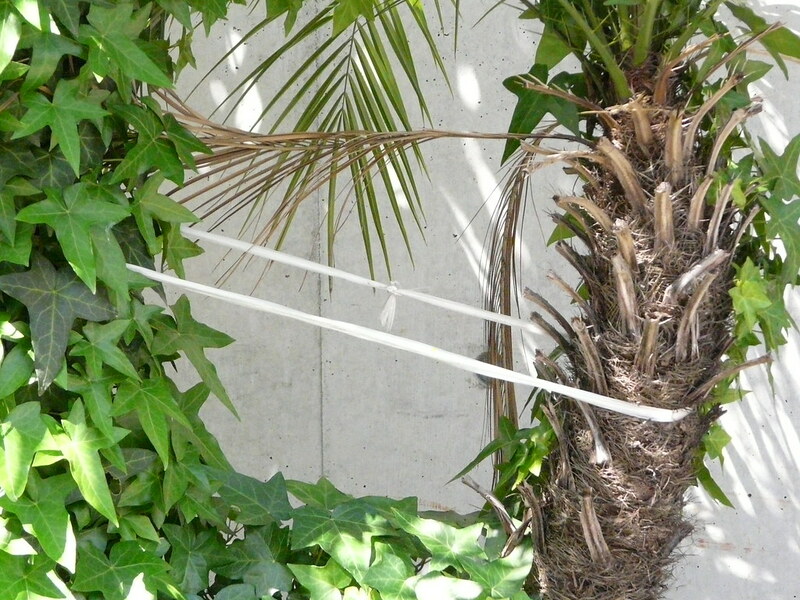 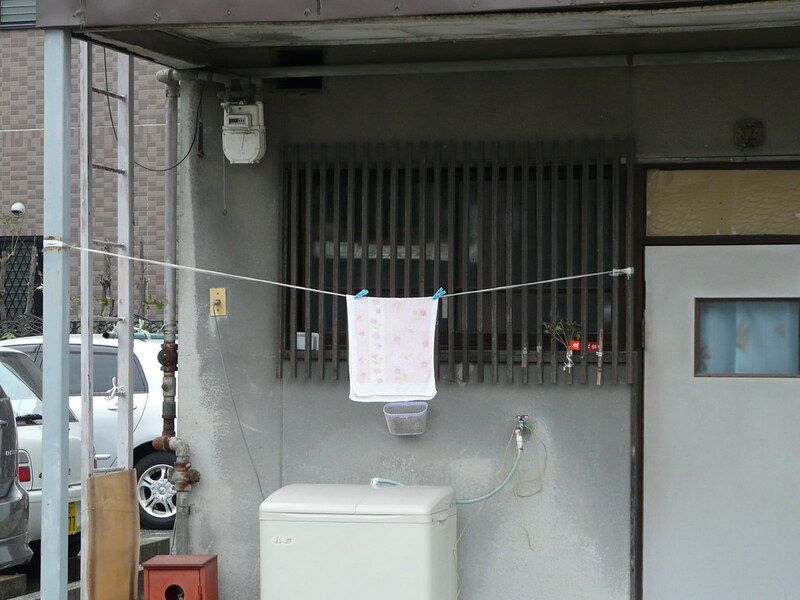 Apartment structure and door frame form two posts for a clothesline made of string right in front of the washing machine. 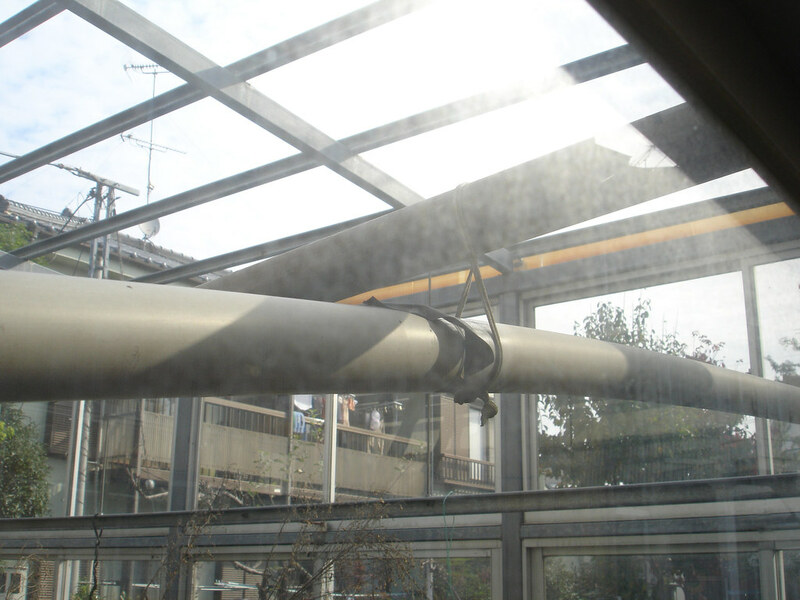 Beam attached to structure with string for storage in suburban greenhouse. 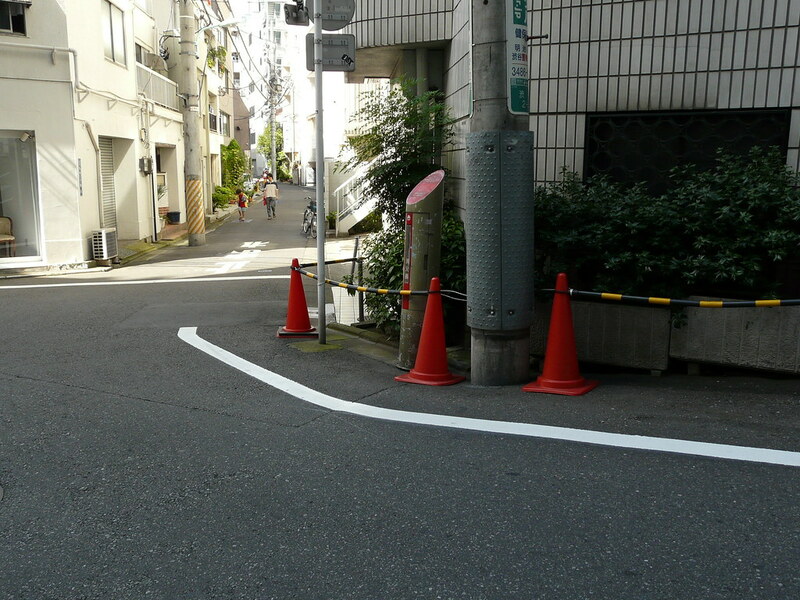 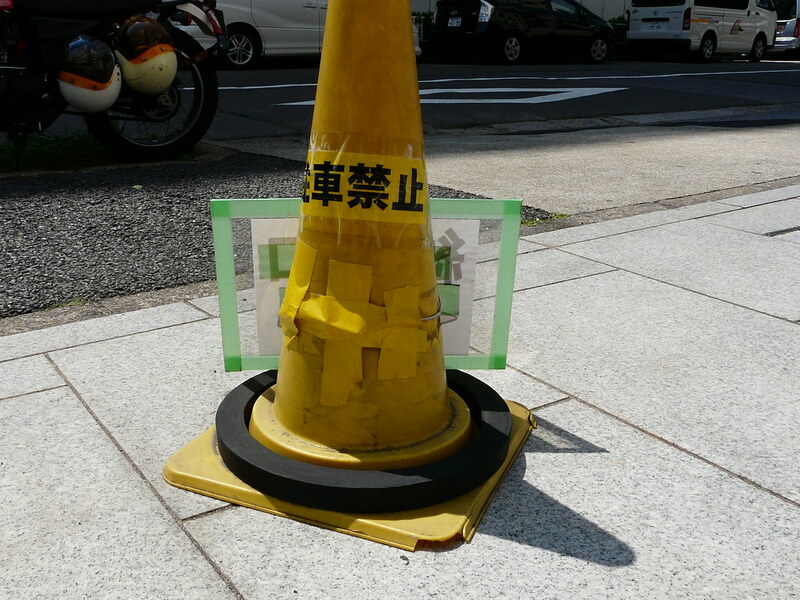 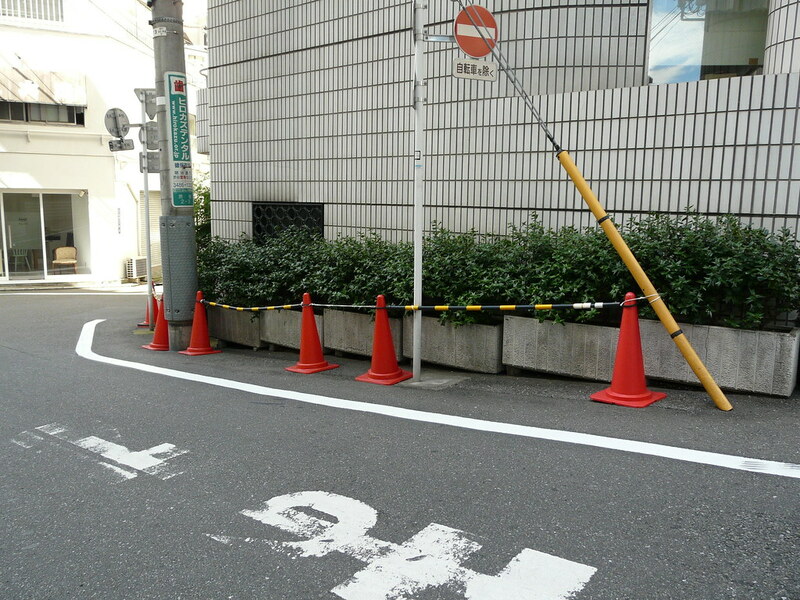 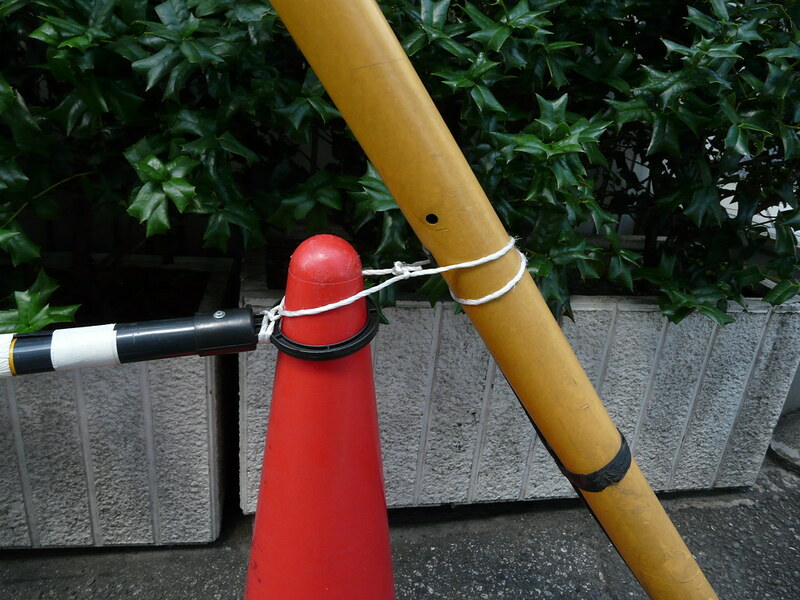 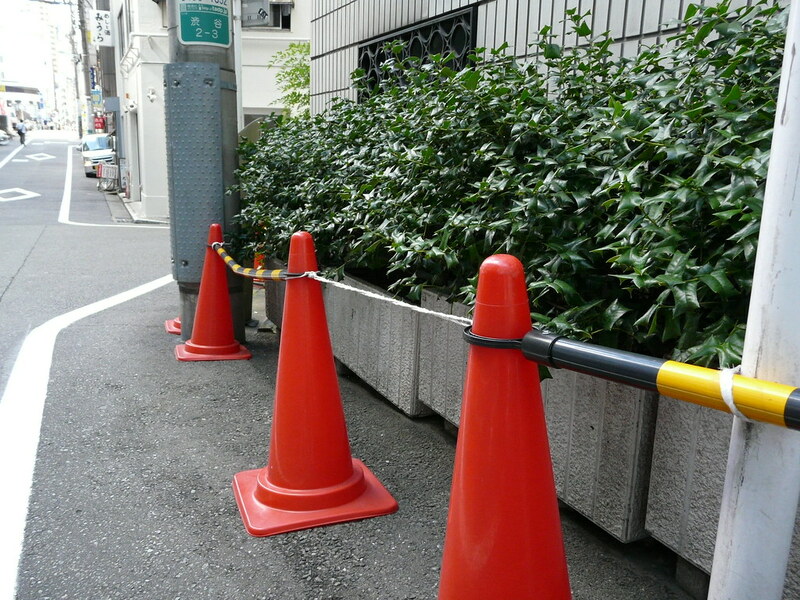 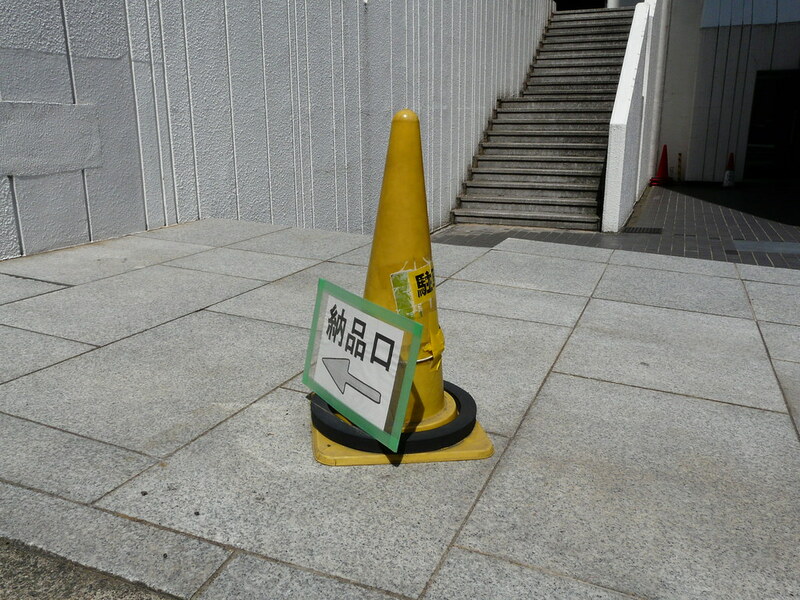 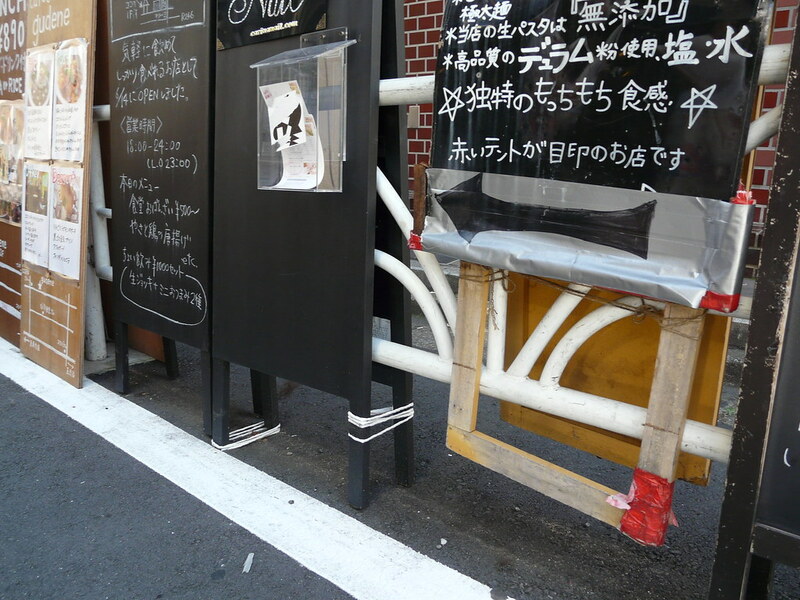 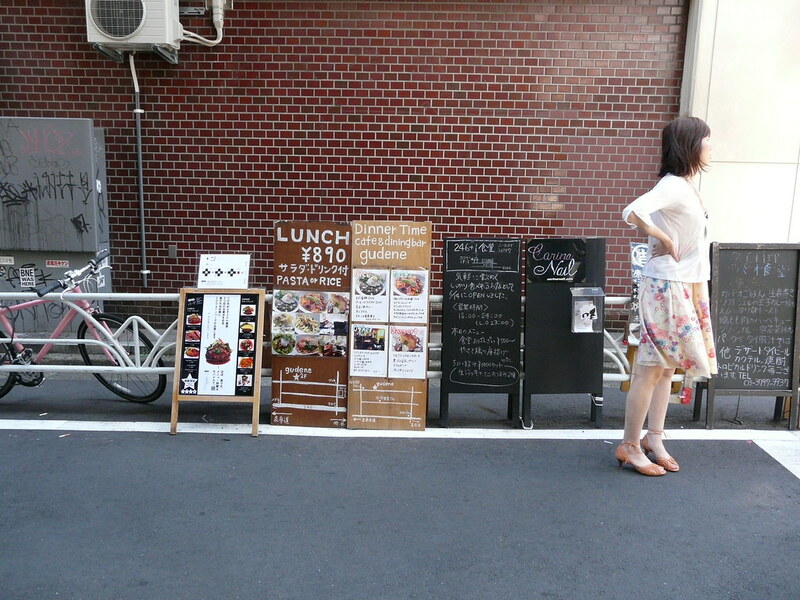 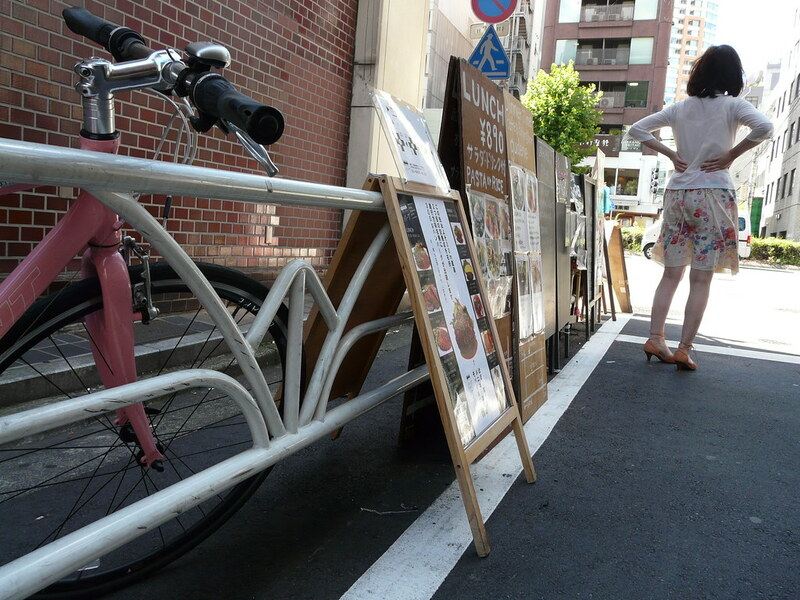 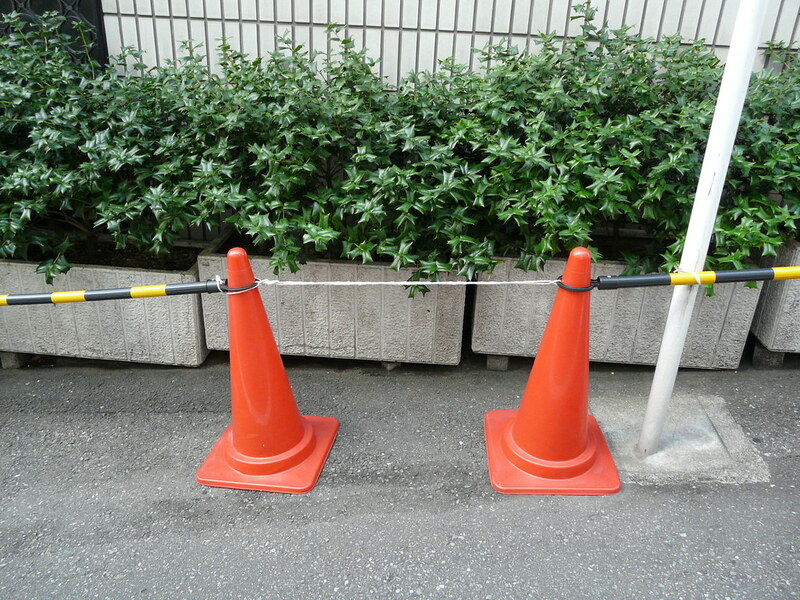 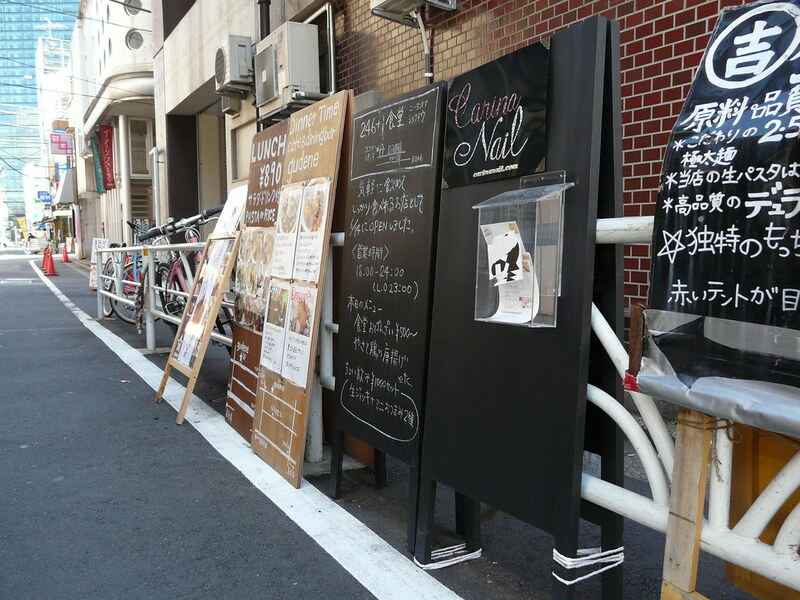 Traffic cones and barriers prevent parking in Shibuya side street. 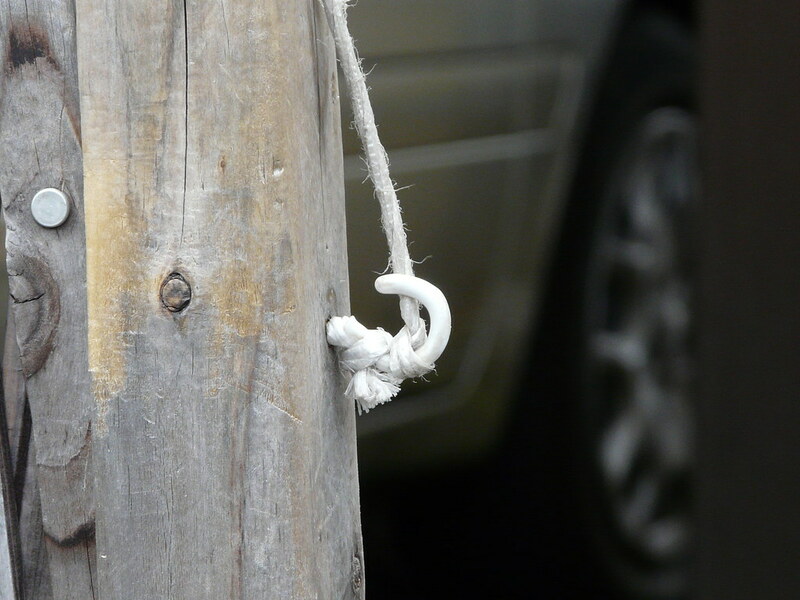 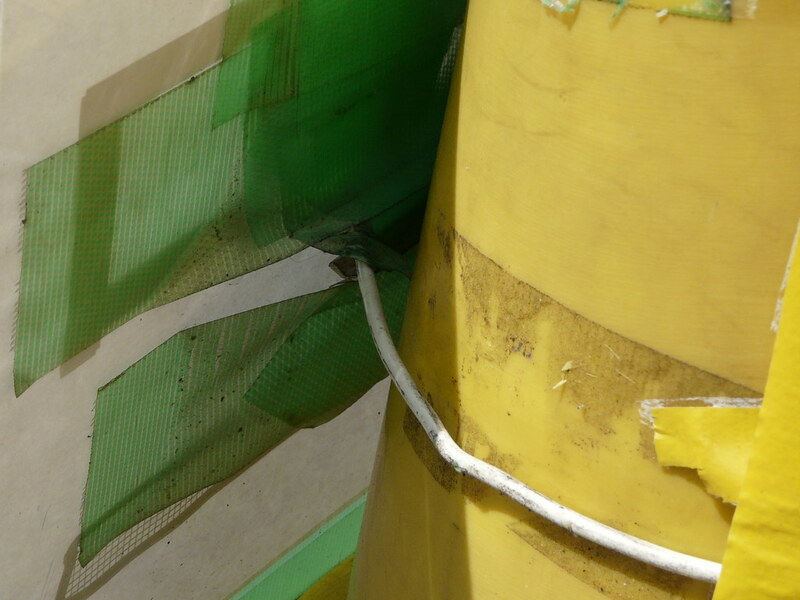 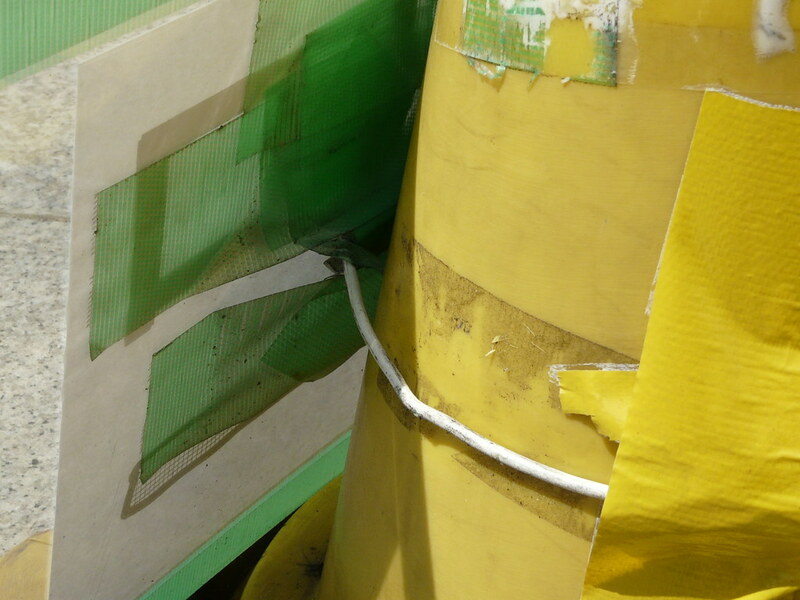 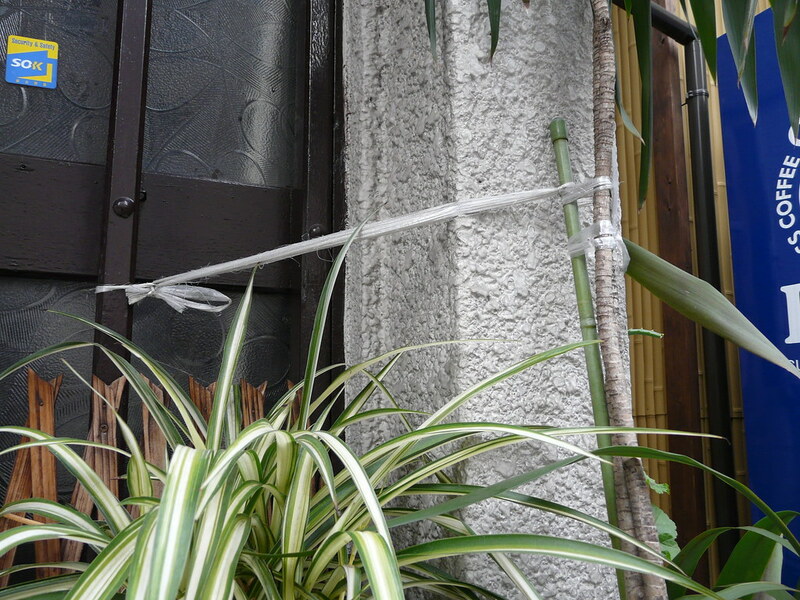 Flexibility (length, getting around power poles) provided by using string in place of rigid barrier poles. 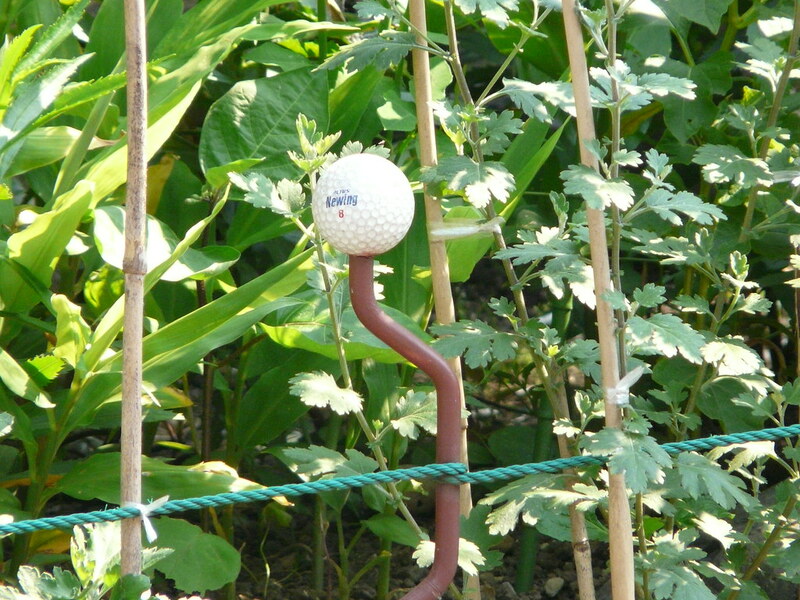 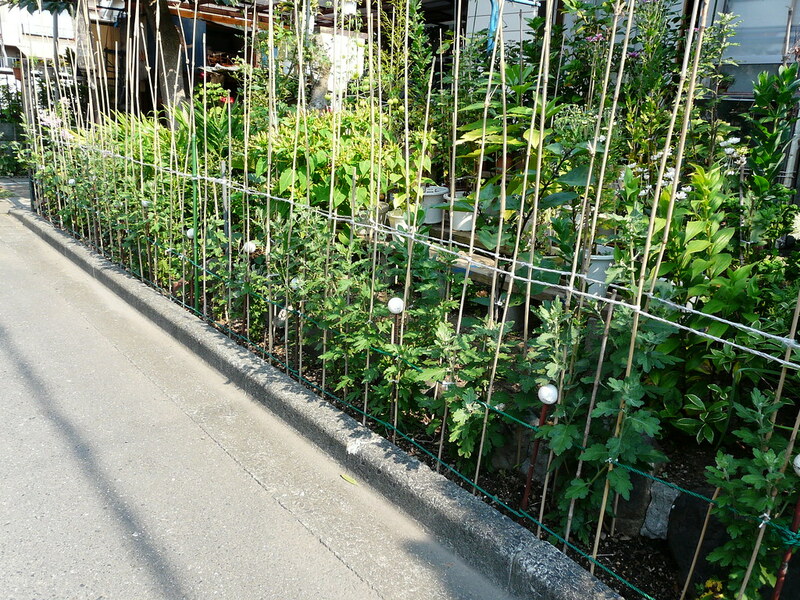 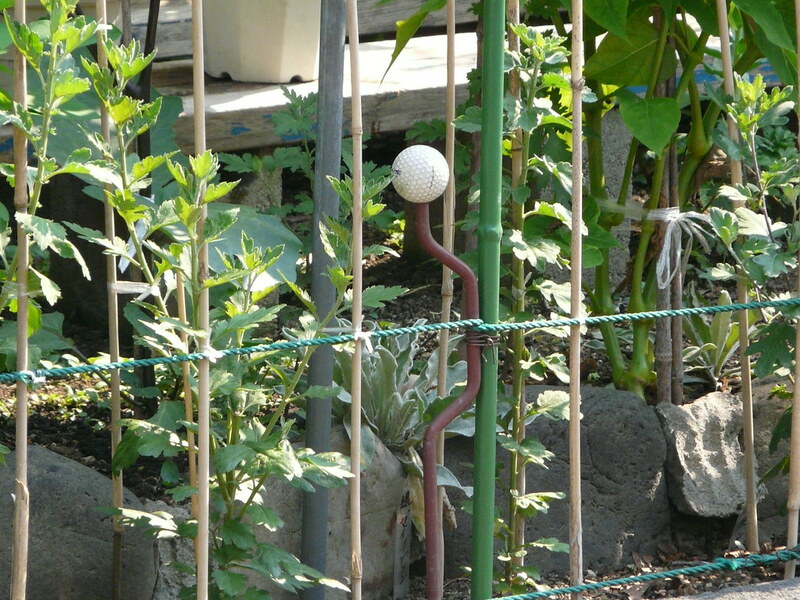 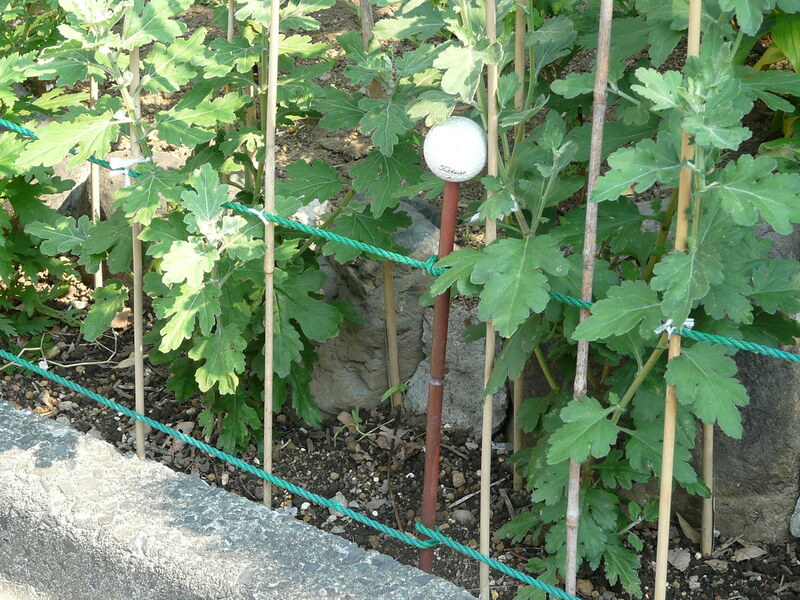 Ornamental gardening fence/demarcation constructed from metal rods topped with golf balls (for safety and decoration) and slim bamboo sticks – all threaded with rope and string. 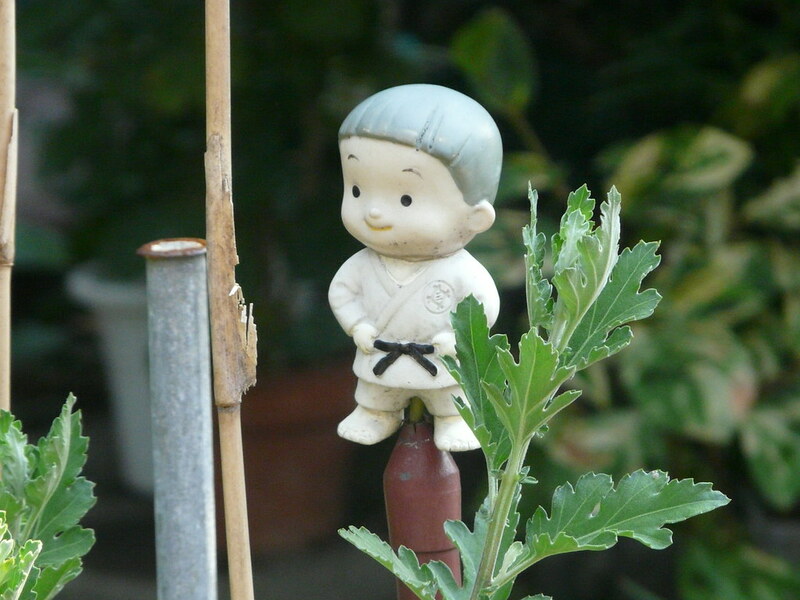 A cute judo wrestler surveys the scene. 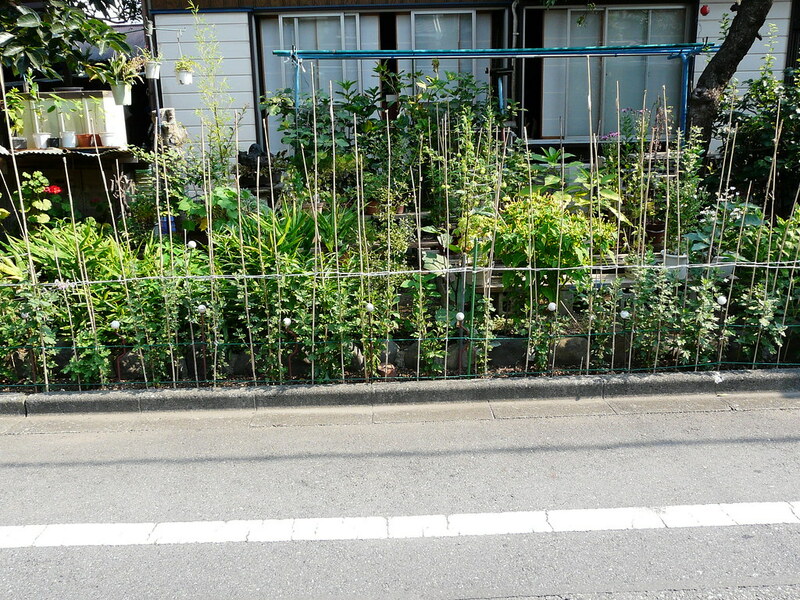 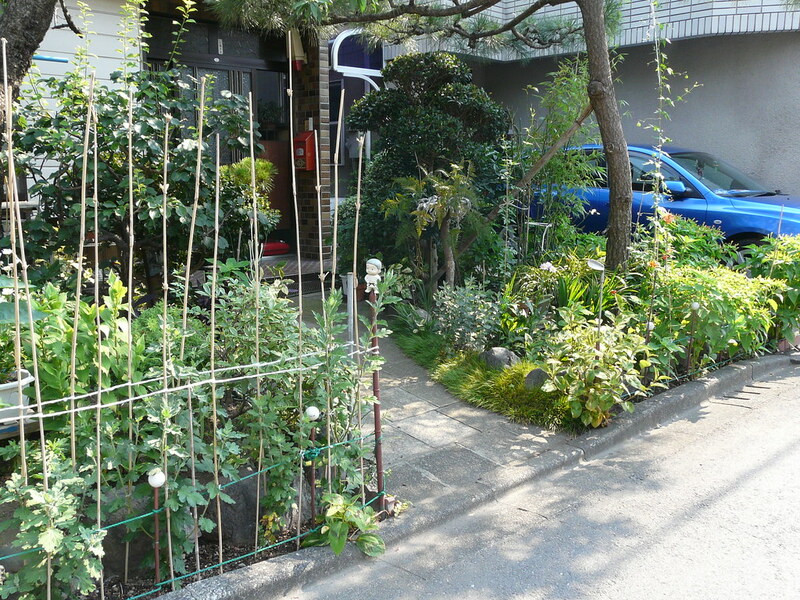 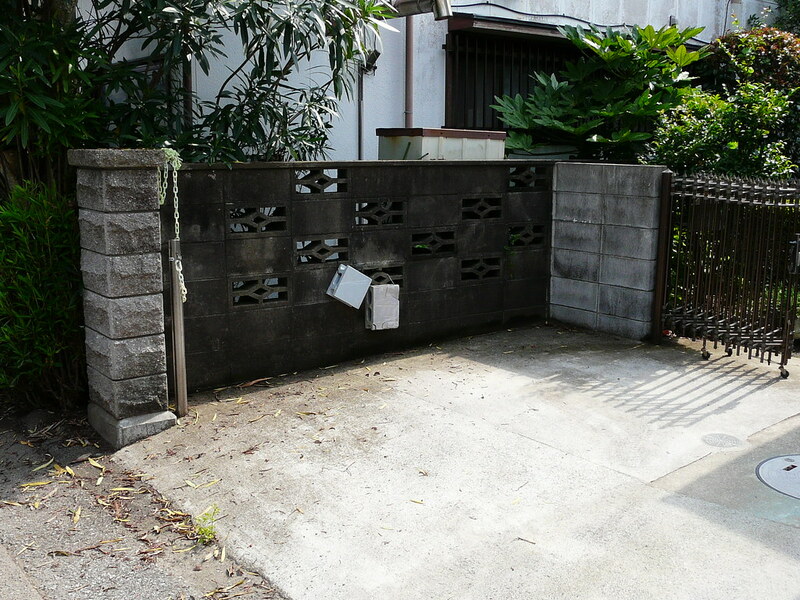 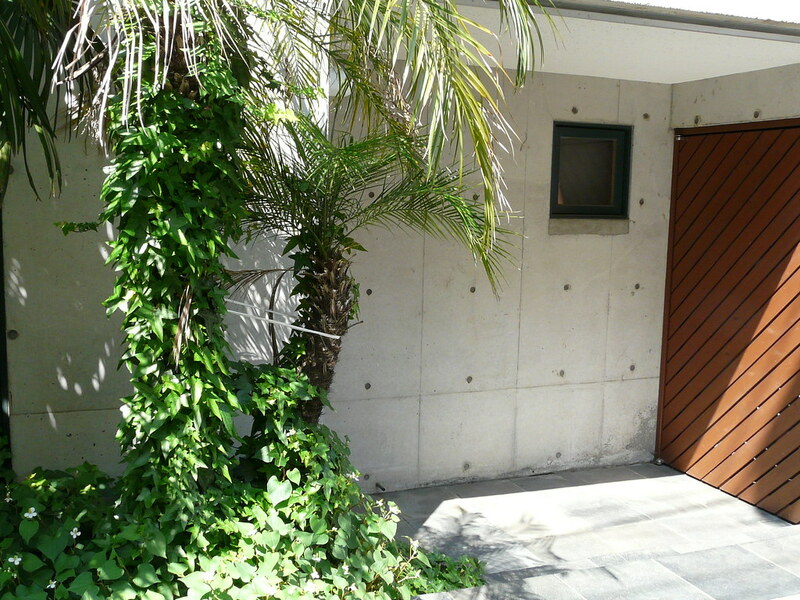 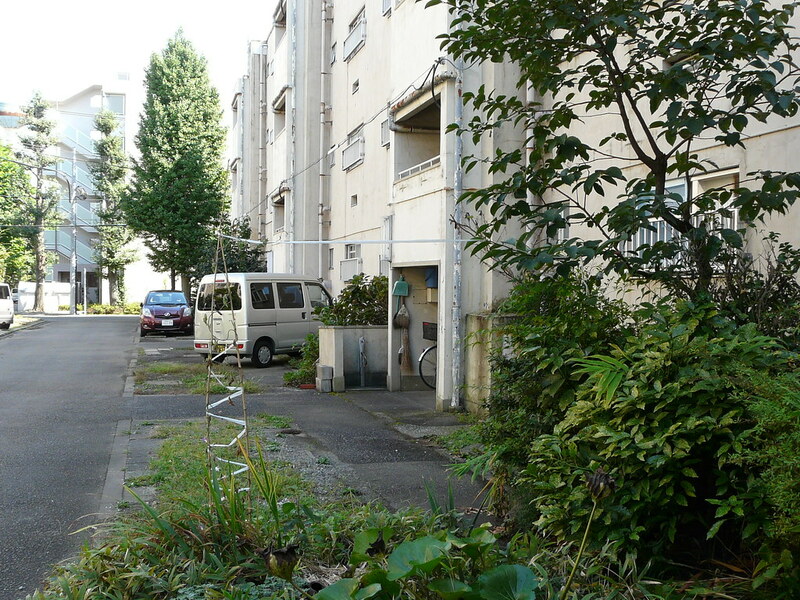 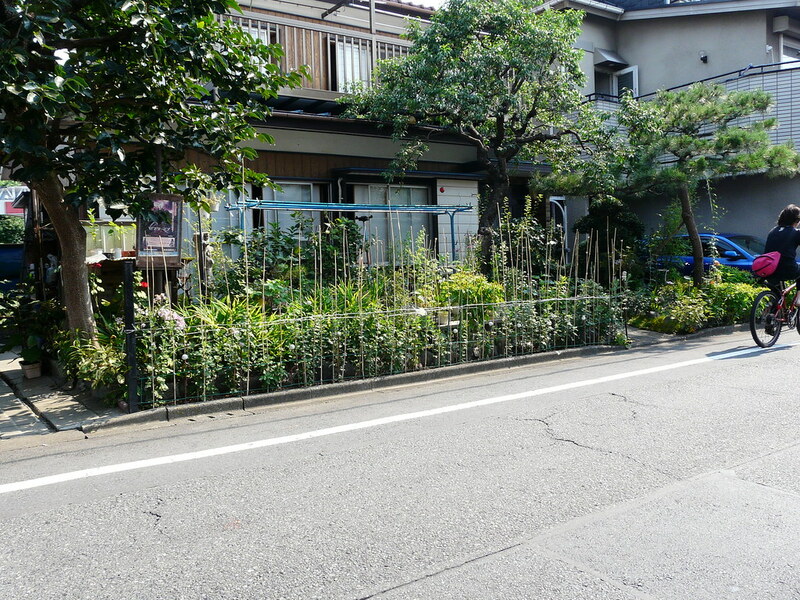 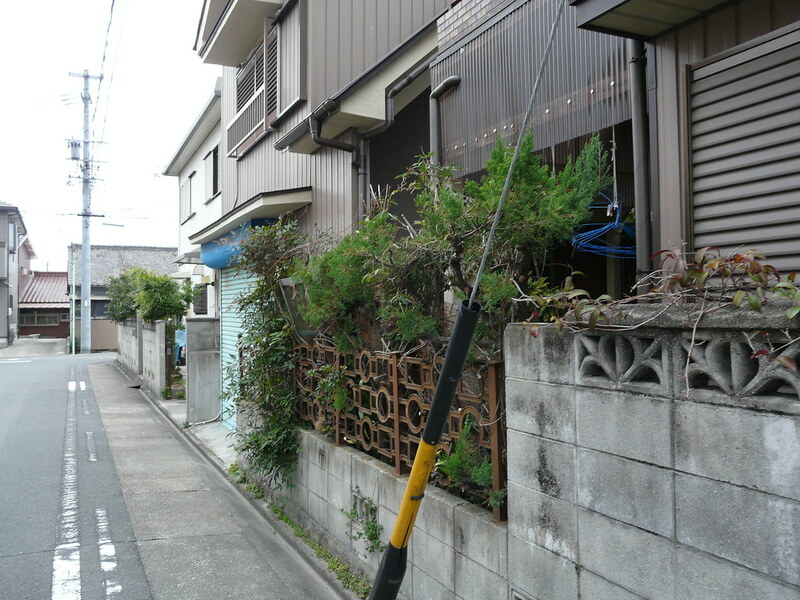 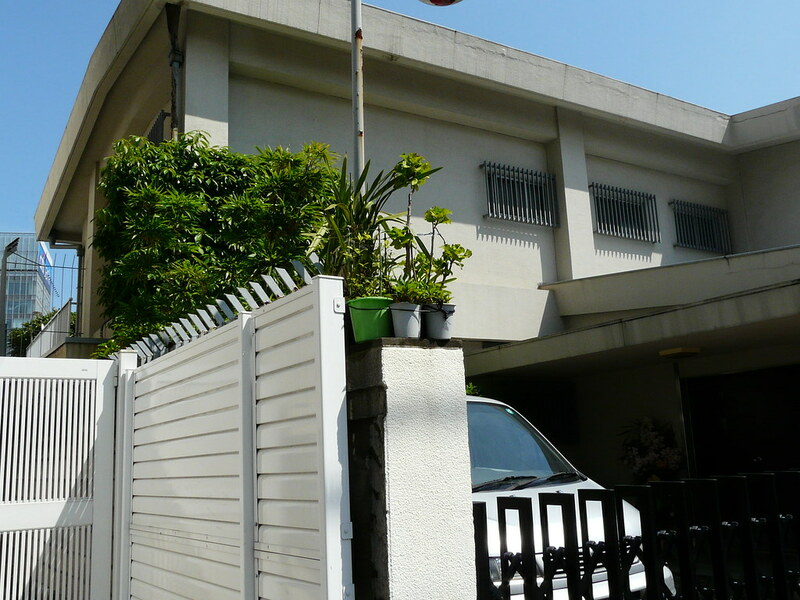 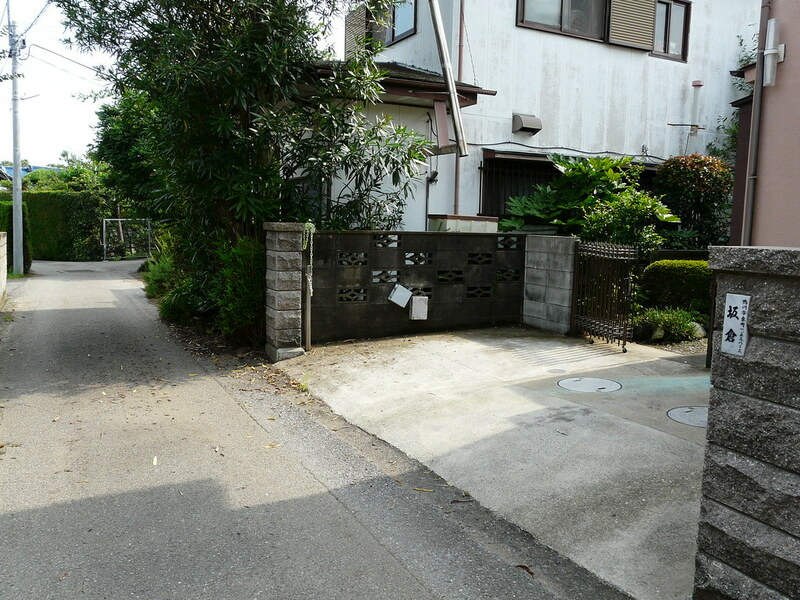 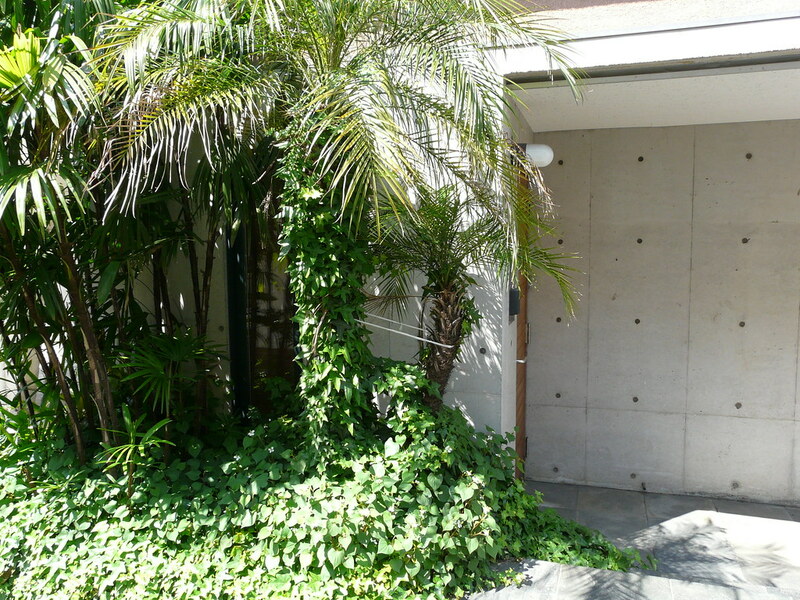 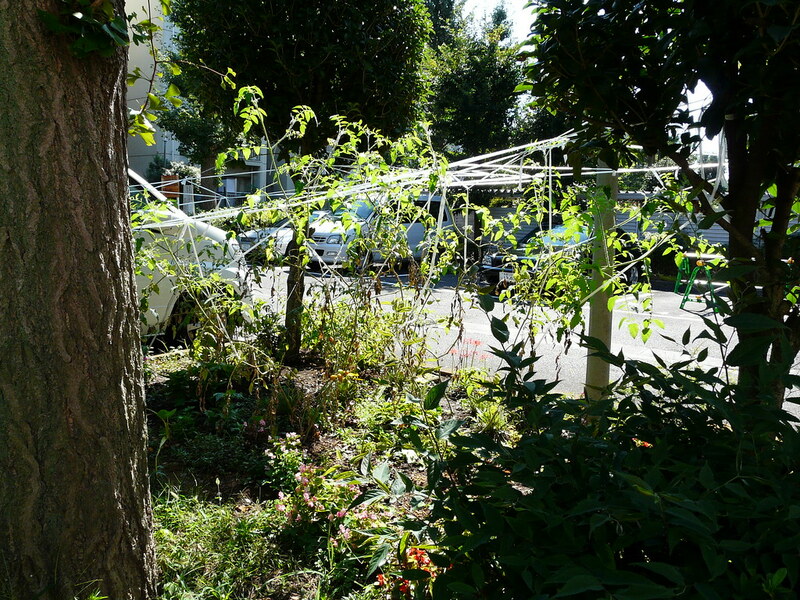 Trees are trained away from the driveway of a high-end residence in Shibuya with a length of string. 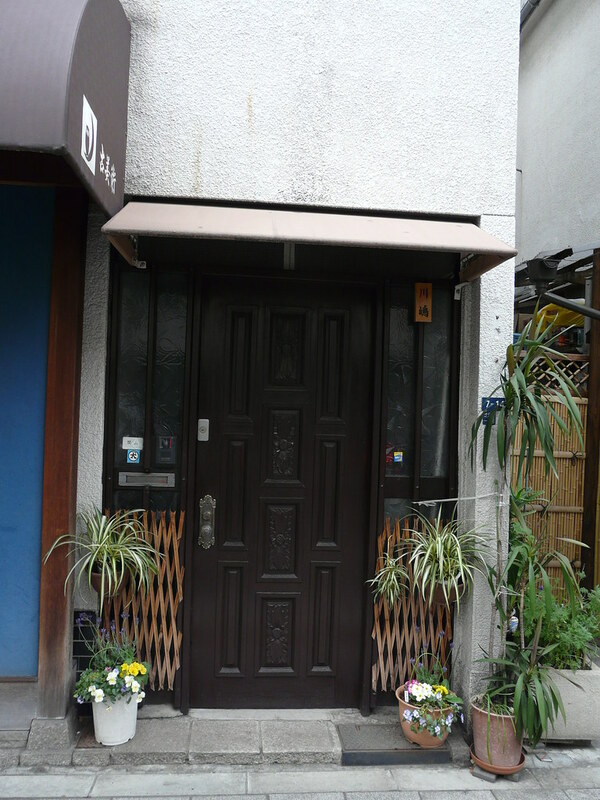 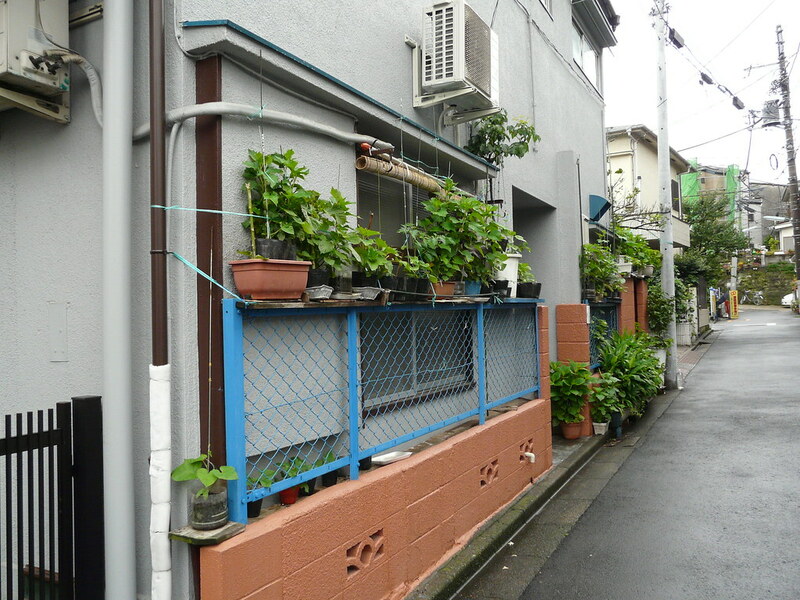 In an expensive back street off Aoyama Dori in Shibuya resides this lush and intense pot plant collage. 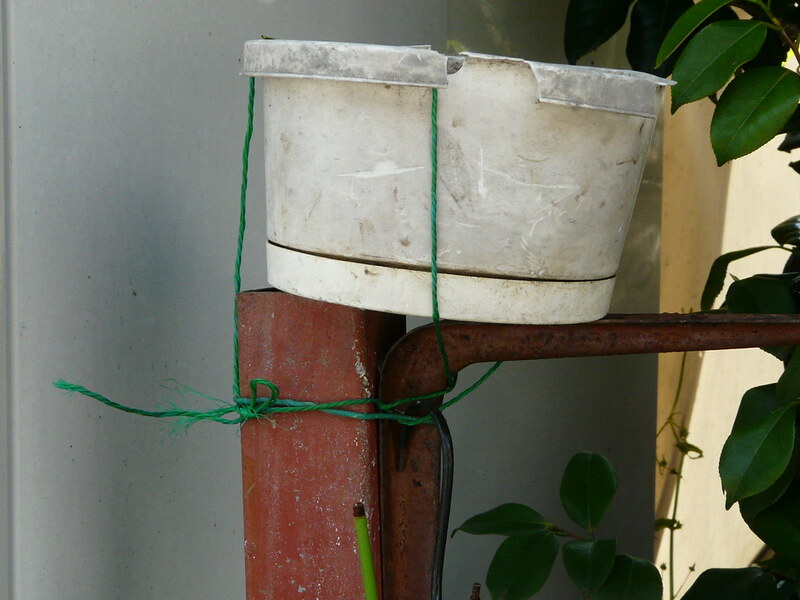 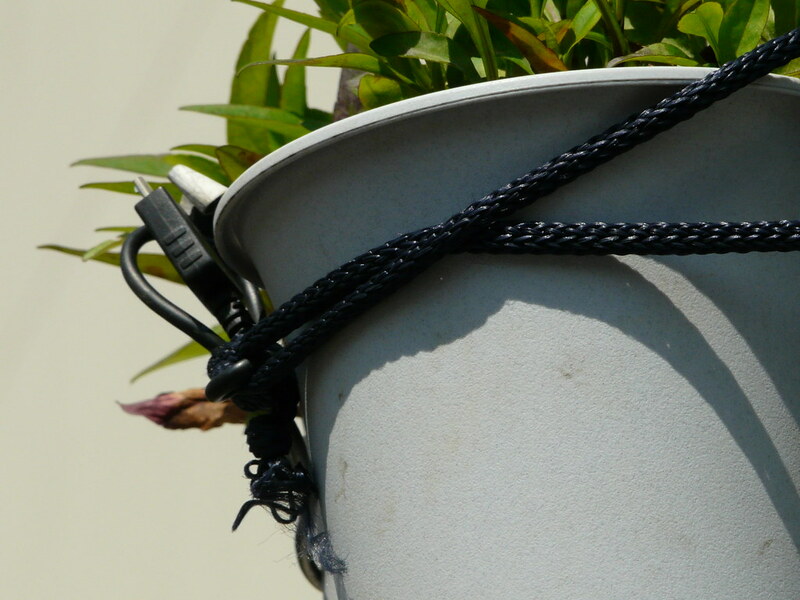 Piece by piece, plants in pots have been added to the structure, and secured with a variety of spur-of-the-moment wire and string fixes. 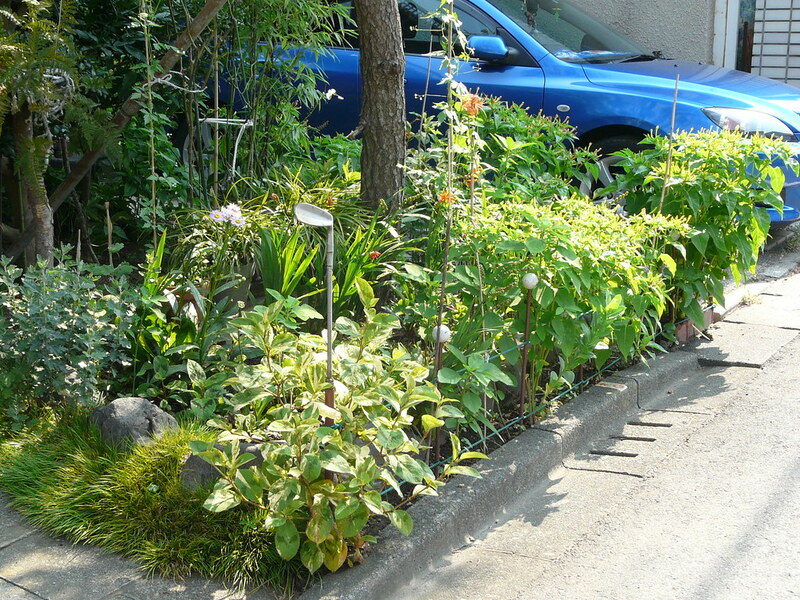 I love the sense of time and process present in these types of garden collages – unplanned and hectic but built up slowly over many years. 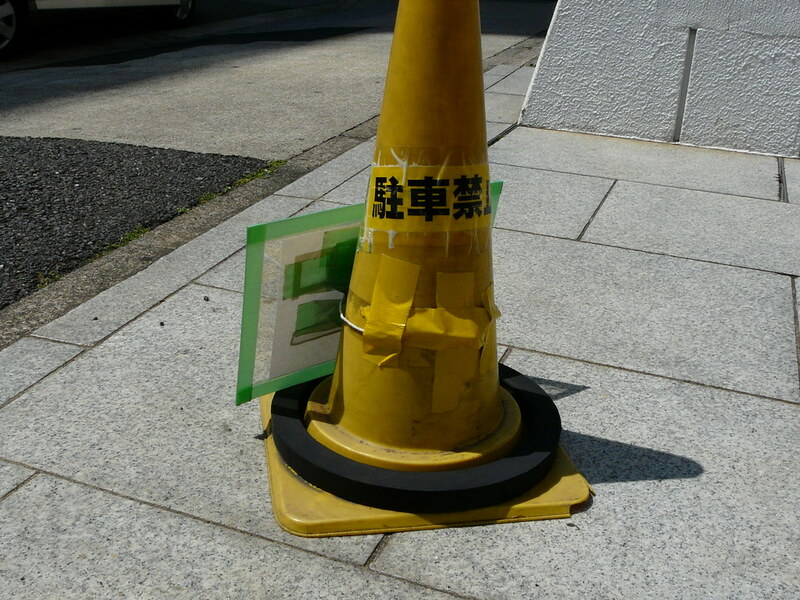 Temporary in form and materials but not in presence. 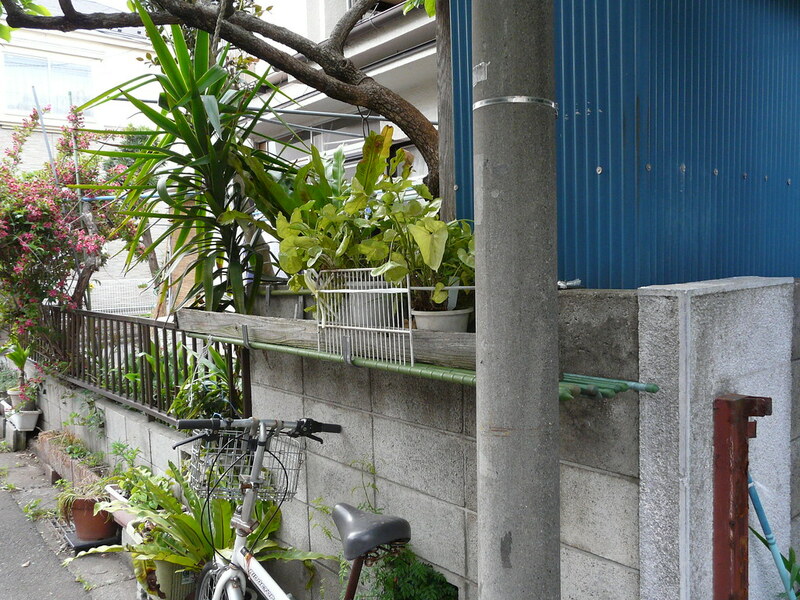 A type of green urban archeology. 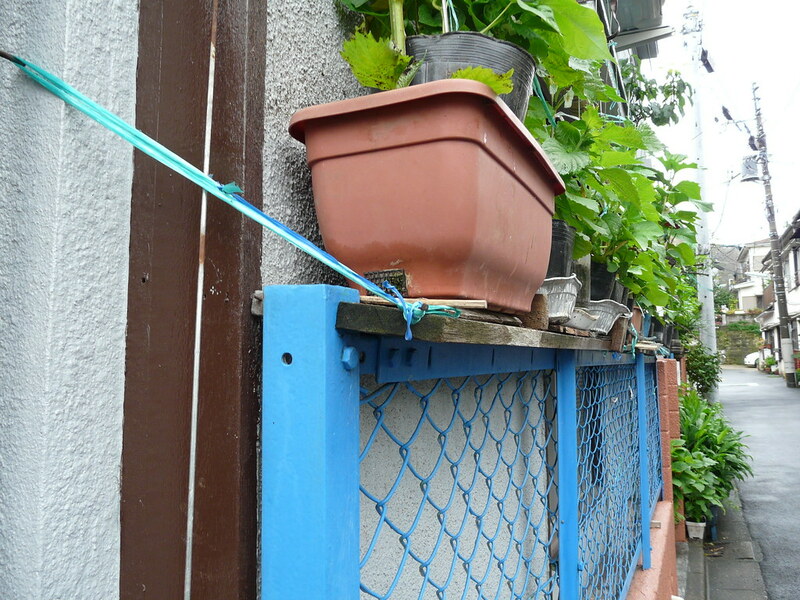 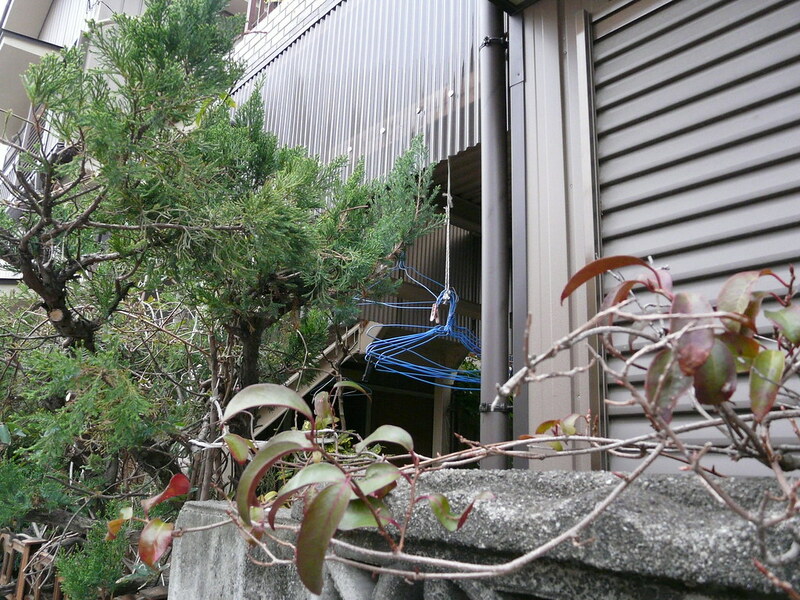 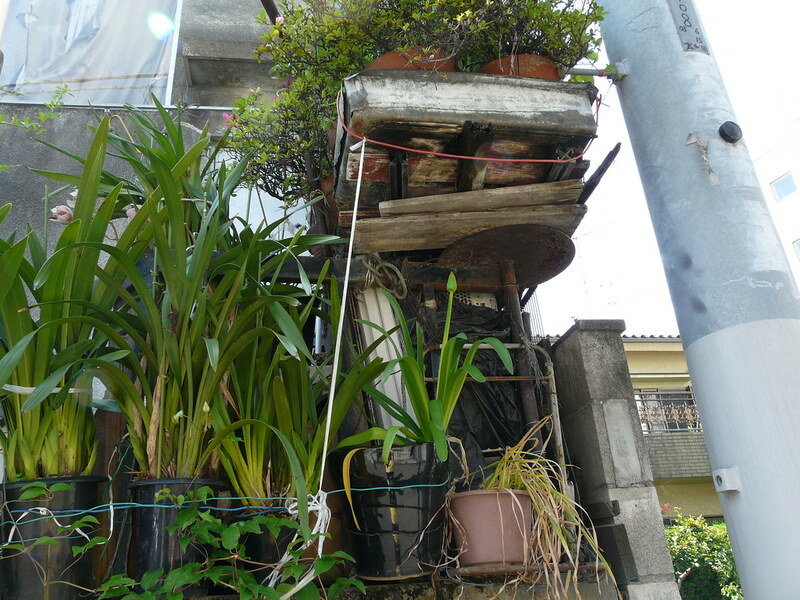 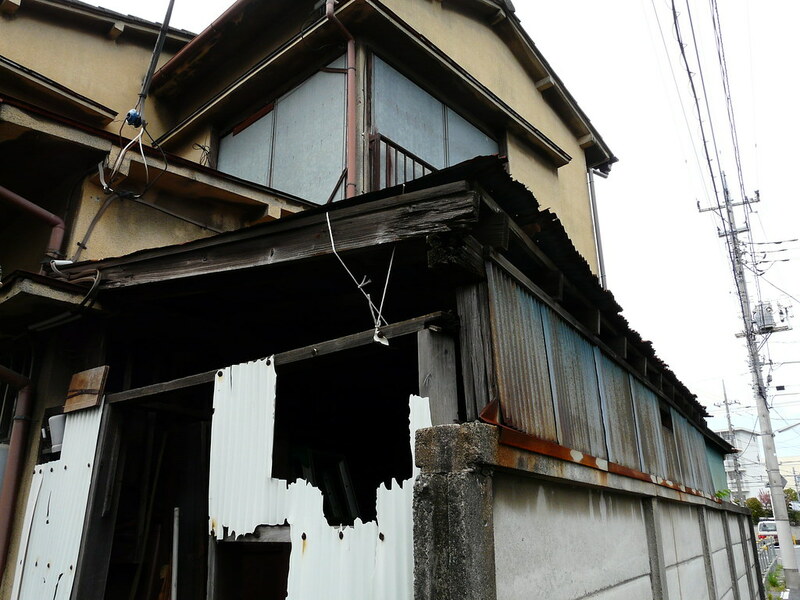 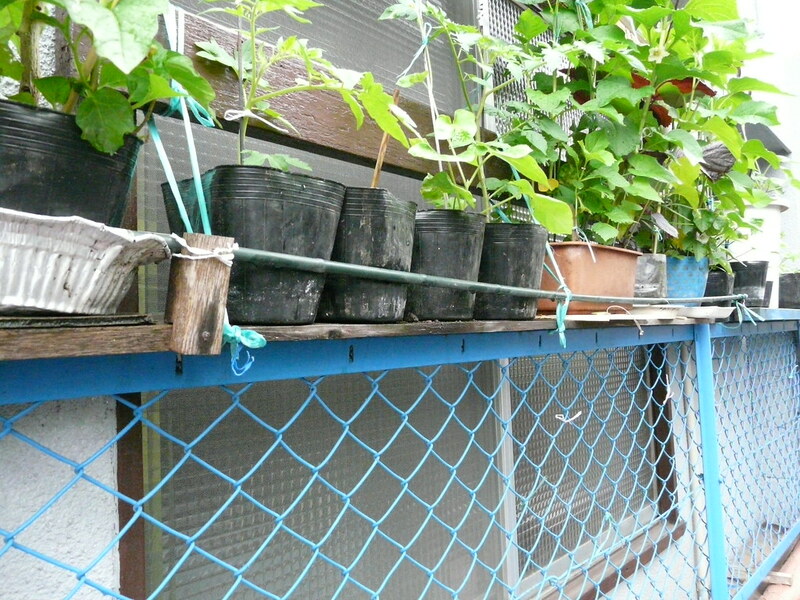 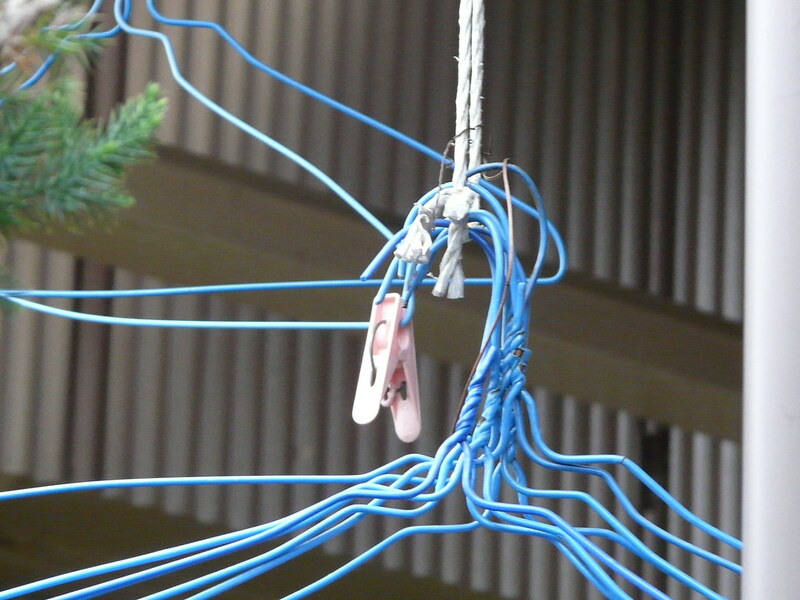 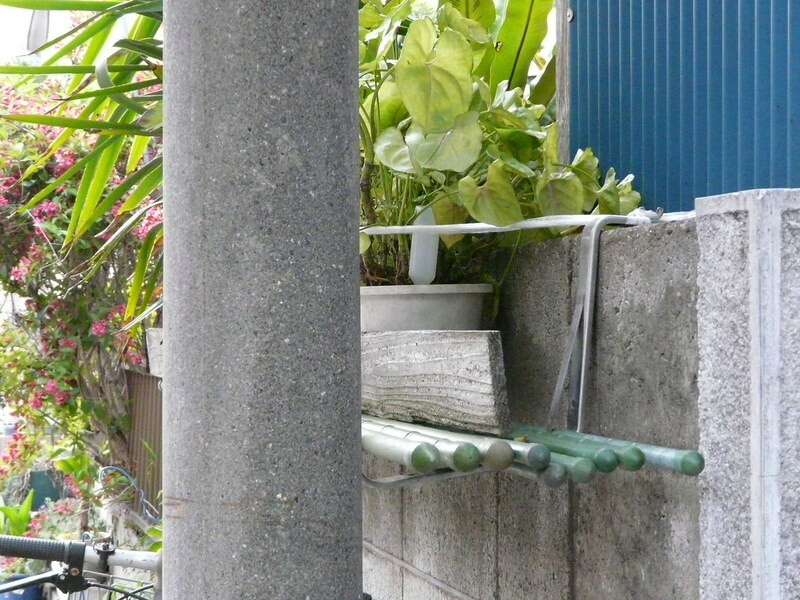 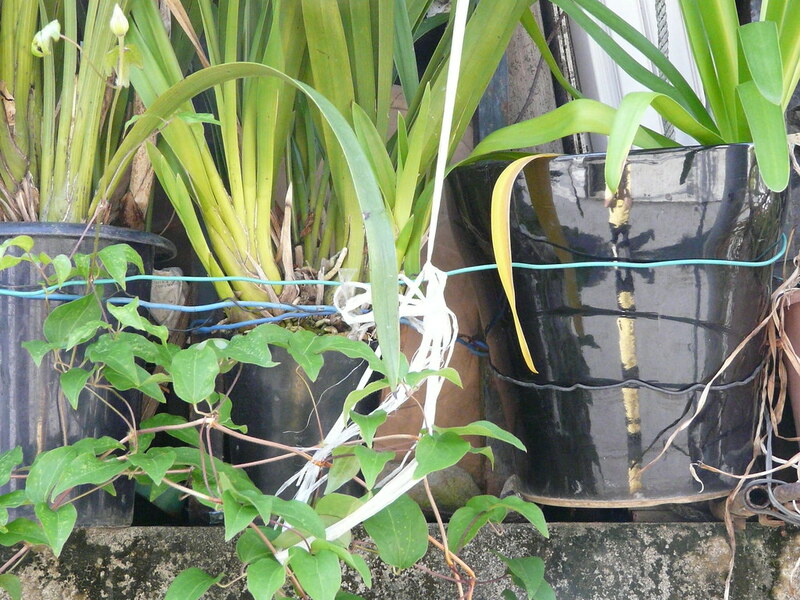 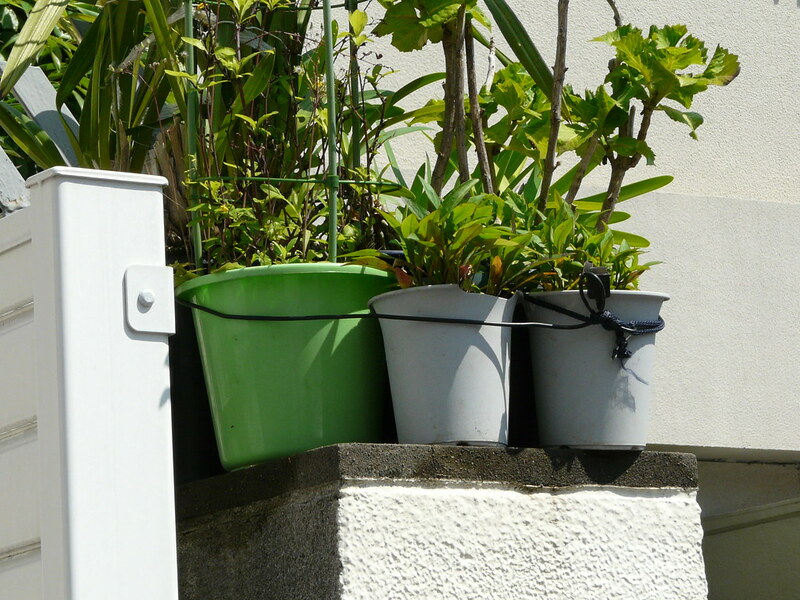 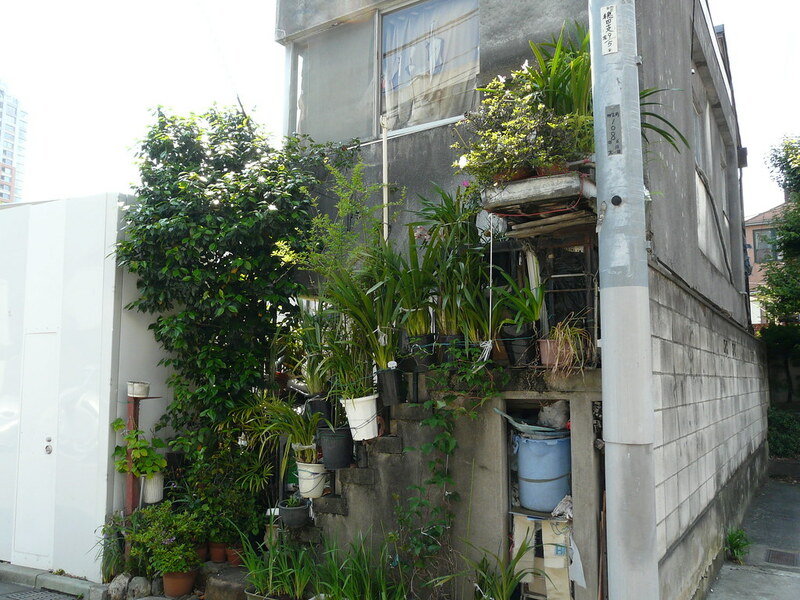 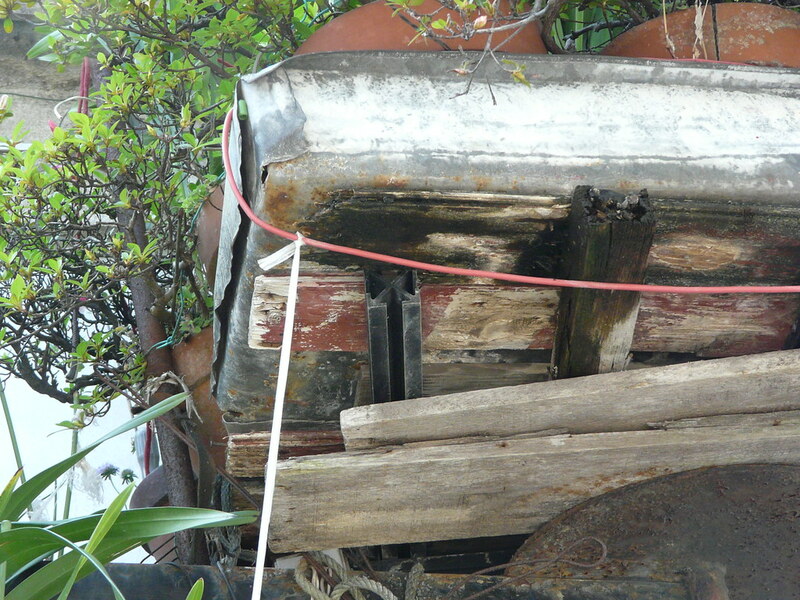 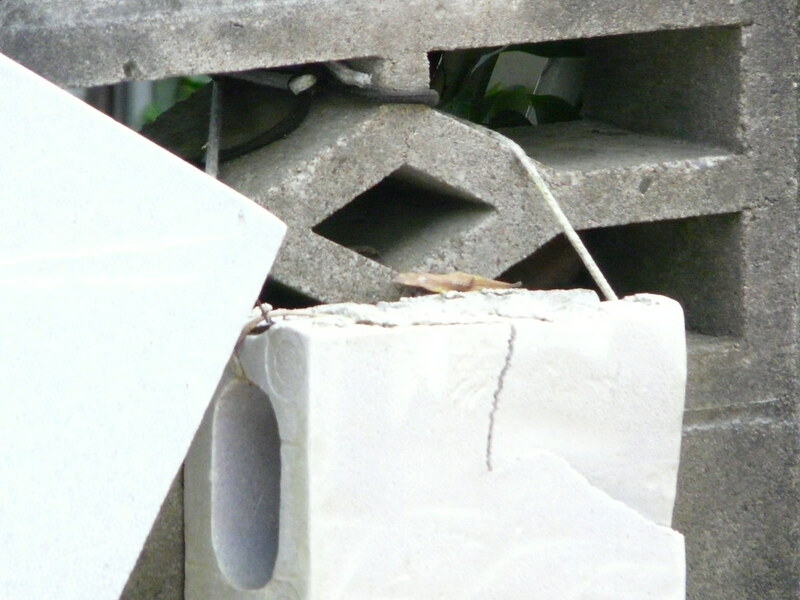 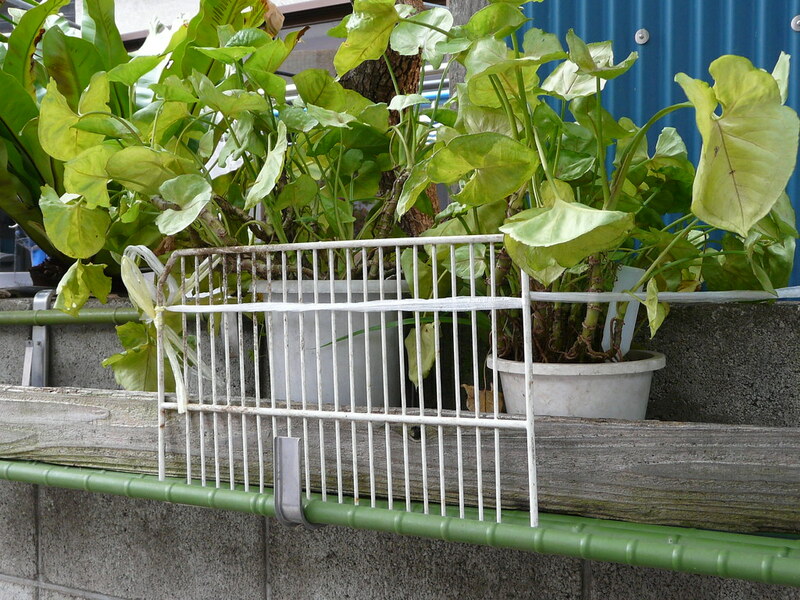 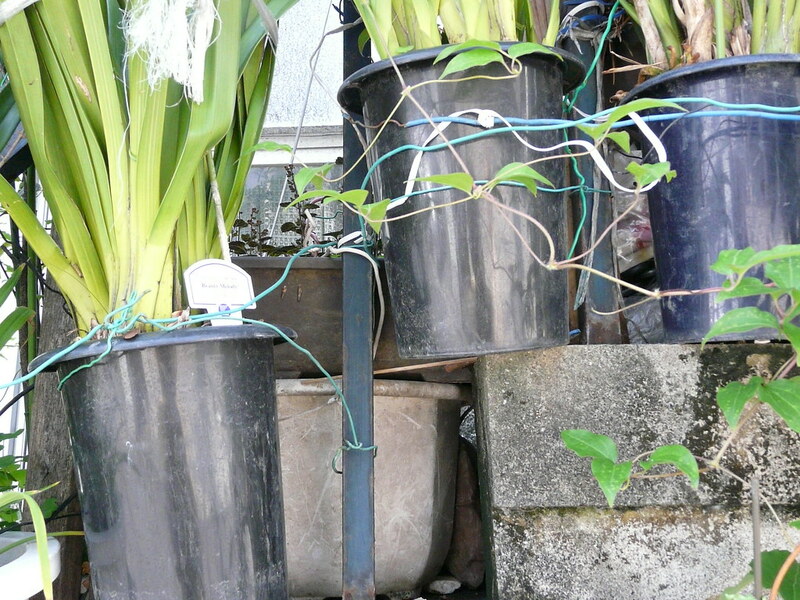 The top of a wall in a residential back street of Shibuya acts as the scene for a precarious pot plant construction held in place with various pieces of string. 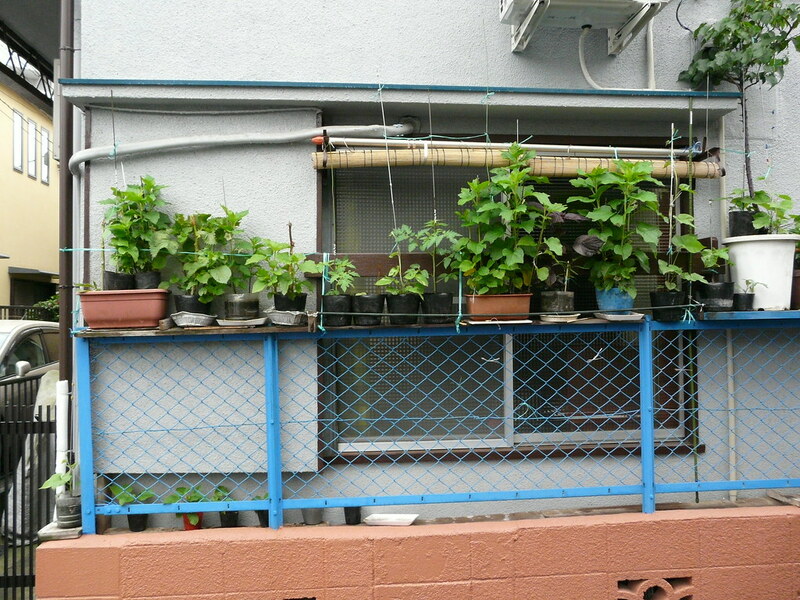 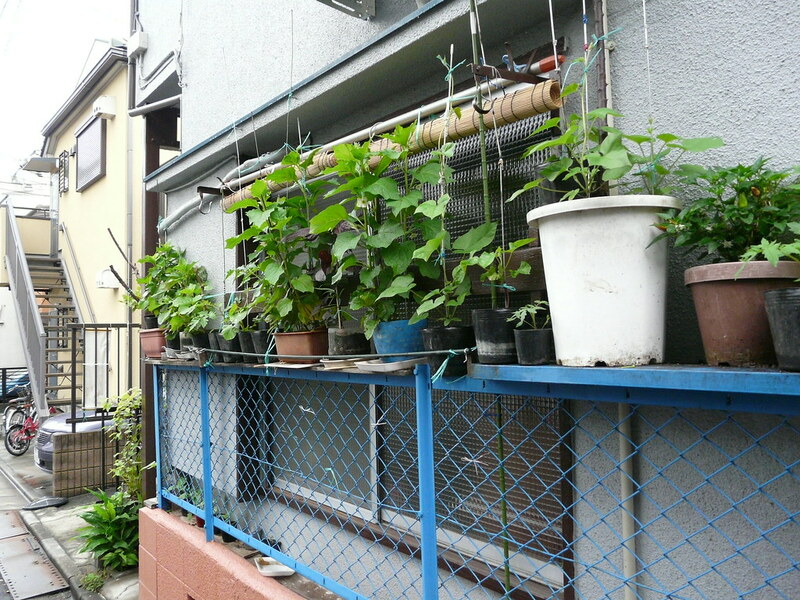 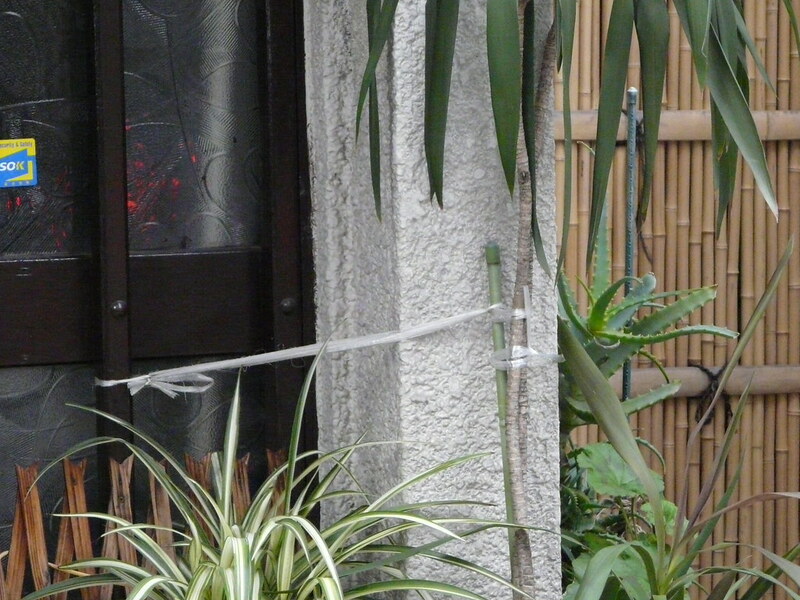 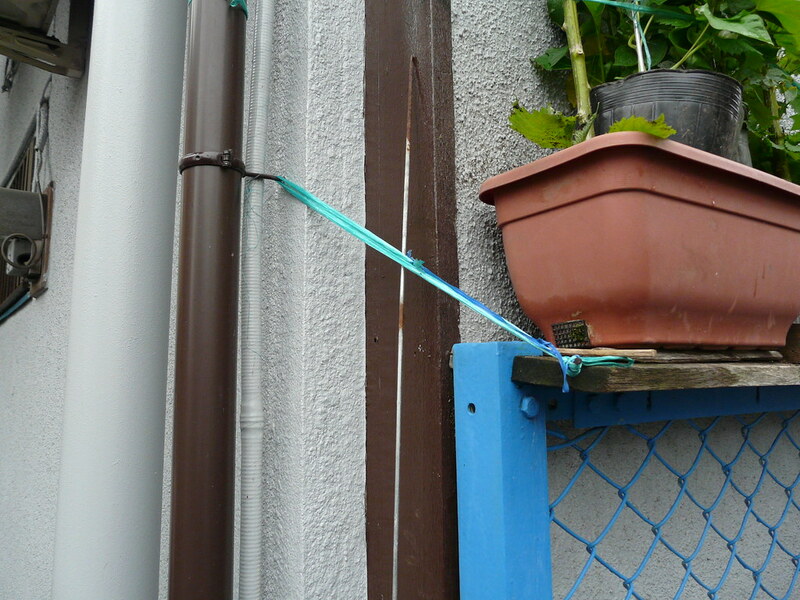 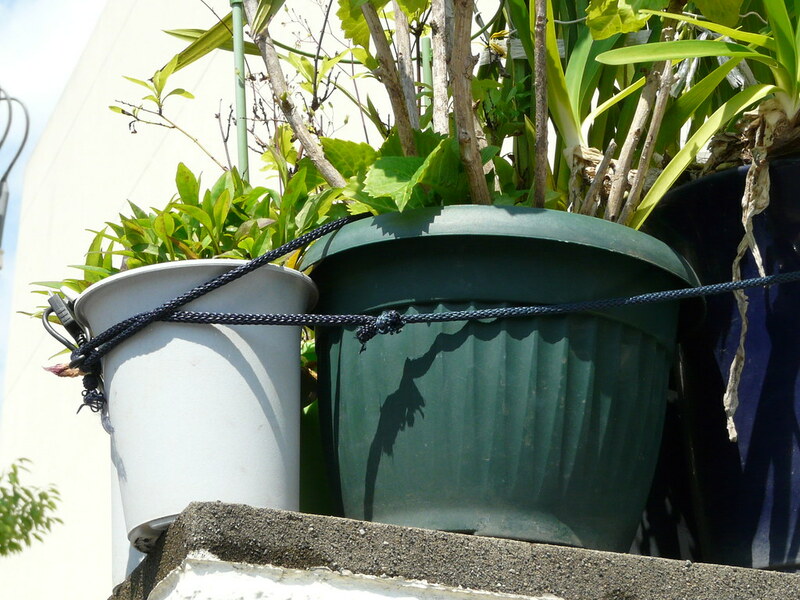 Even in one of the more expensive places to live in Tokyo there’s no shame in tying a few pots up on your wall with a bit of old rope! 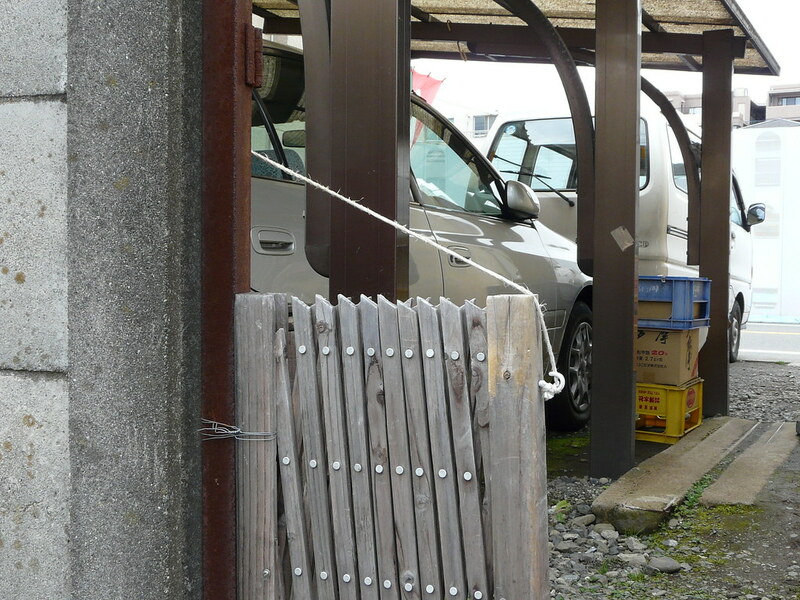 String tied around a hook keeps this gate open. 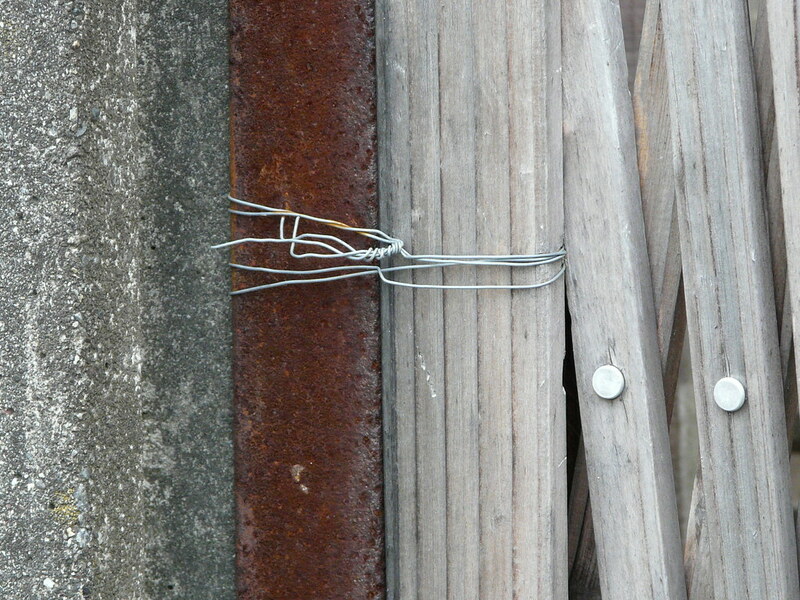 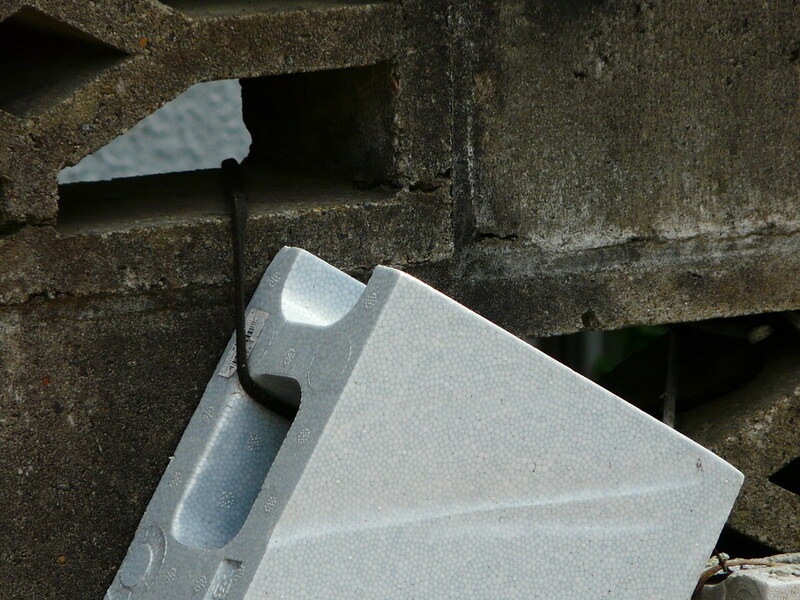 Wire binds it to the concrete block wall. 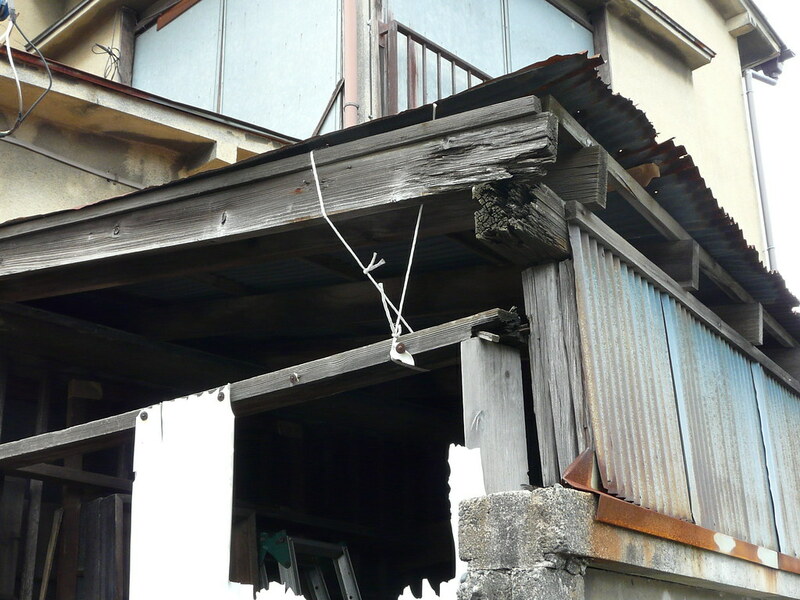 The wall/entrance to this shed is held up by string attached to the roof. 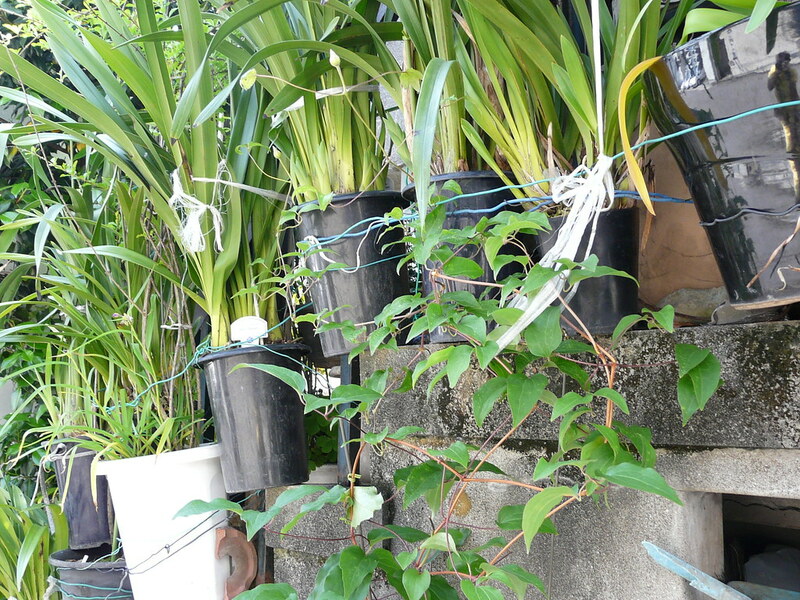 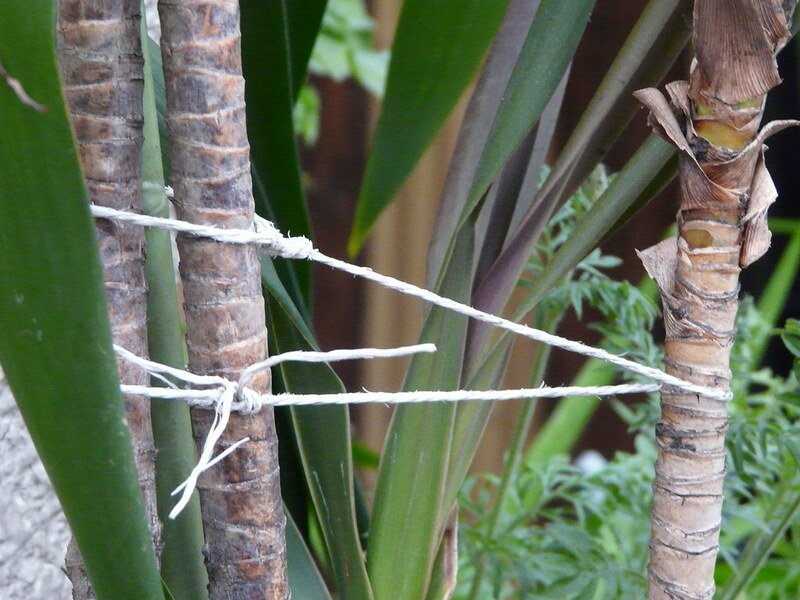 A creeper is trained up, out to, and along a tree with bamboo rods and string. 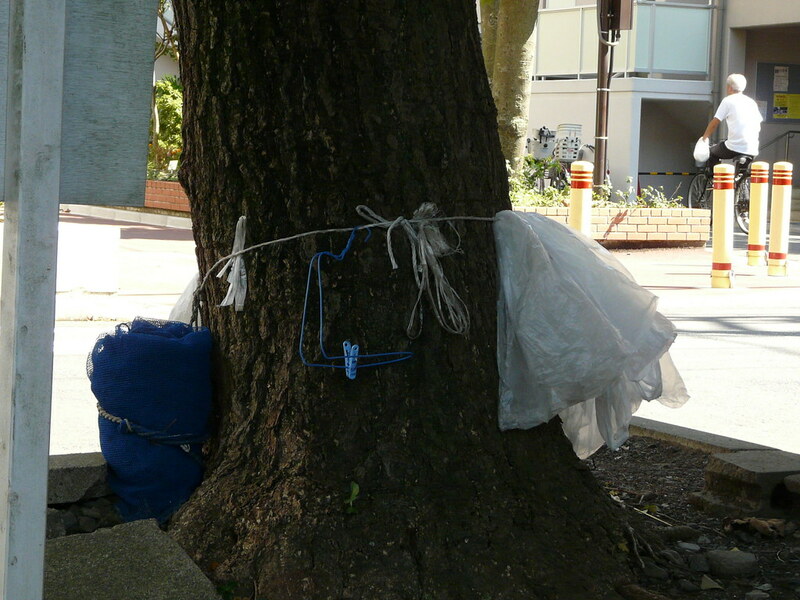 Plastic bags are stored in a cloth bag which is fastened to string with a clip. 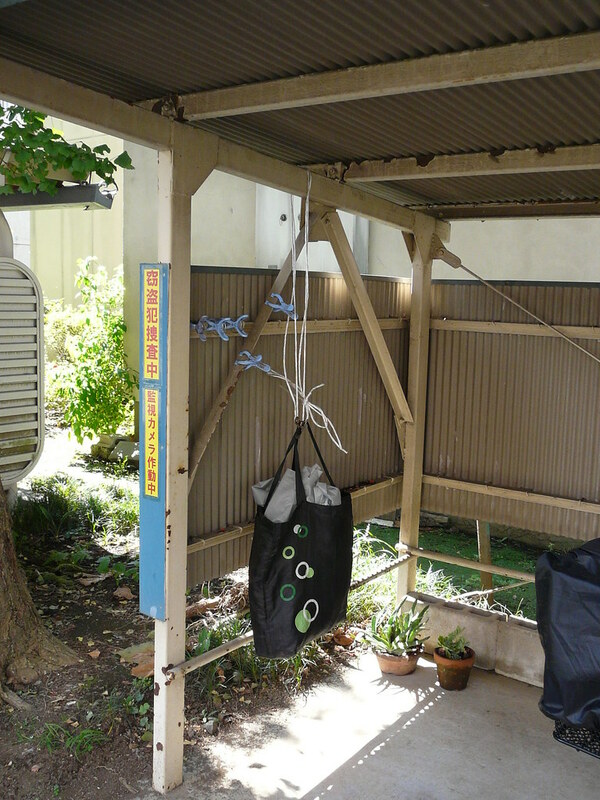 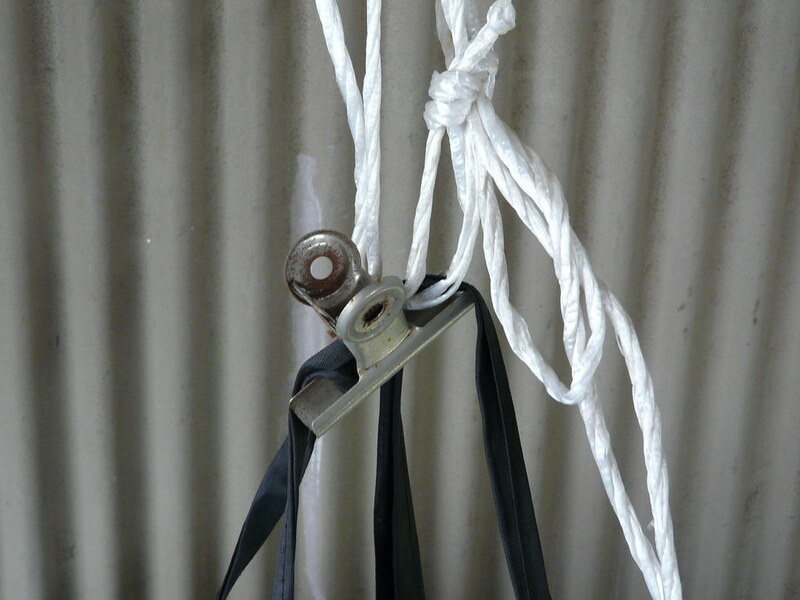 The bag is suspended from the roof of the apartment complex bicycle parking shed and secured (to guard against the wind) by pegs. 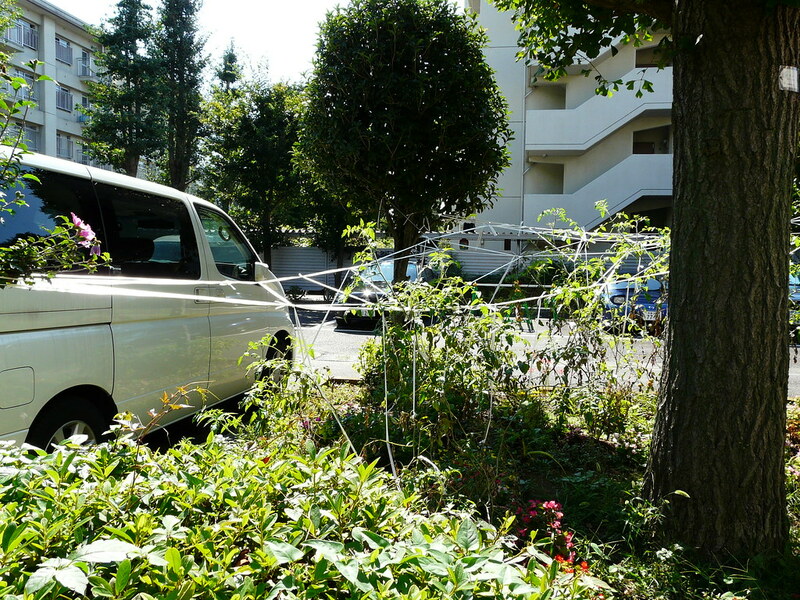 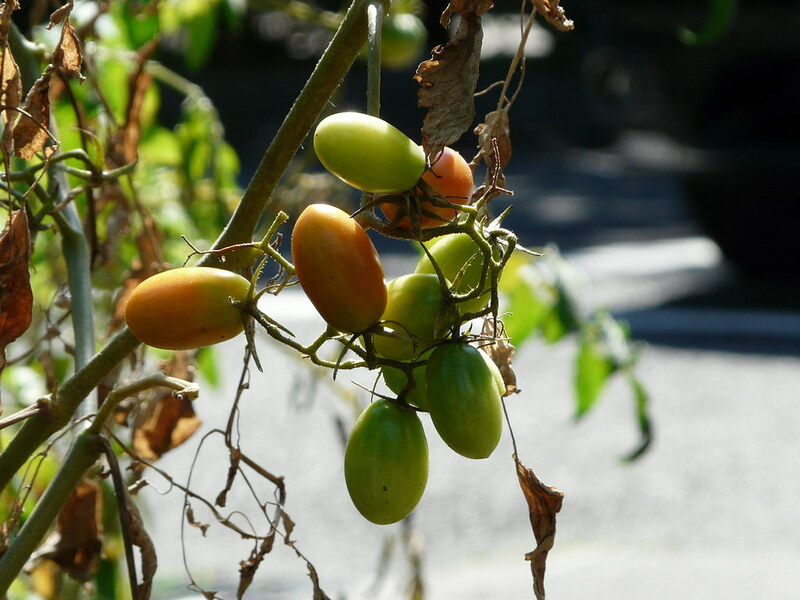 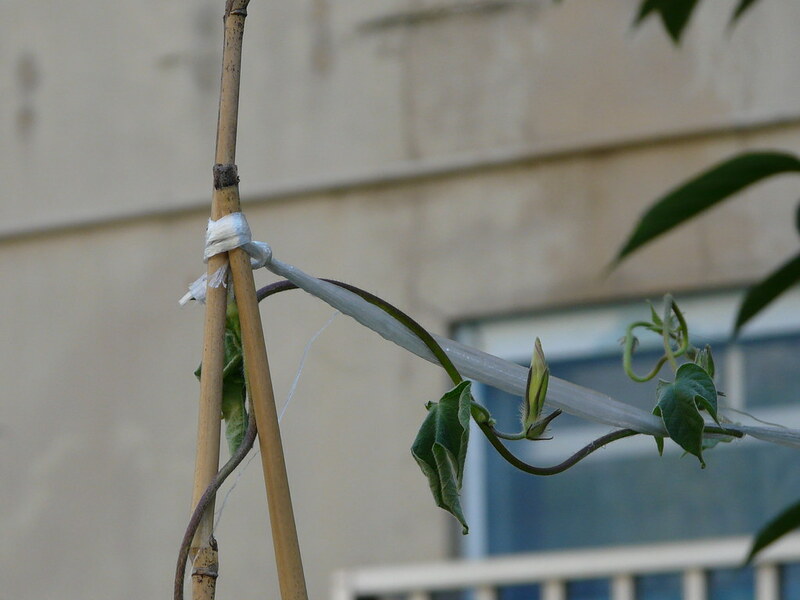 Growing tomatoes in a web of string in the apartment complex carpark. 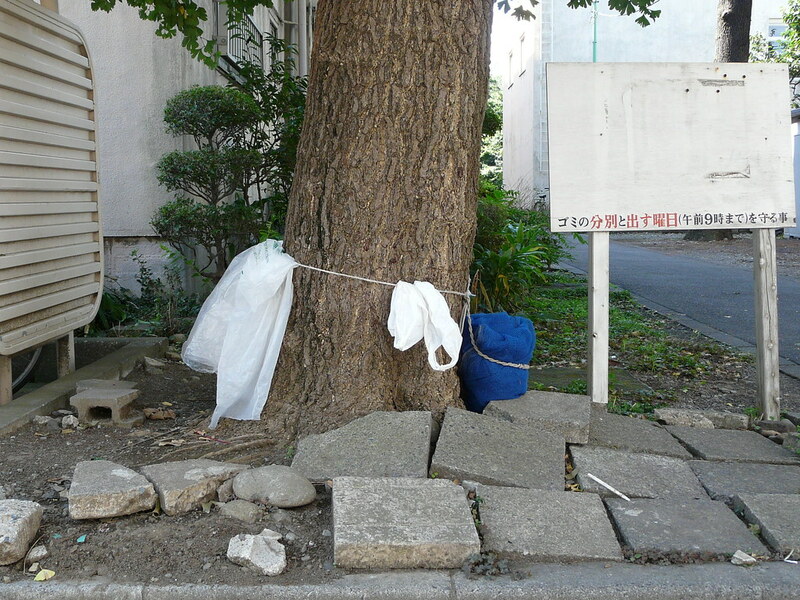 String turns tree trunk into storage space for plastic bags, pegs and nets needed for the apartment complex garbage disposal space.